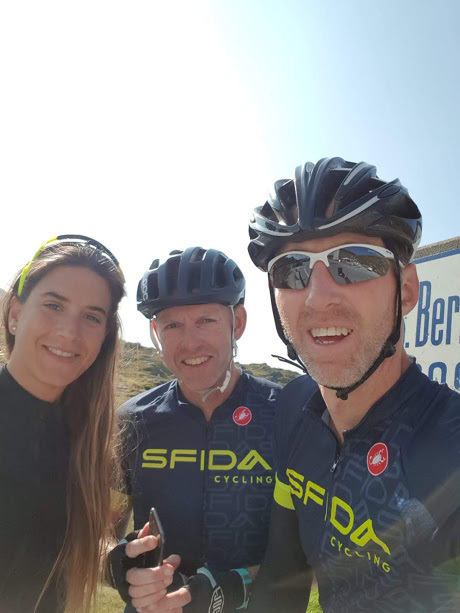 With a dozen climbs above the 2000m line, SFIDA Switzerland is definitely a climbers trip. 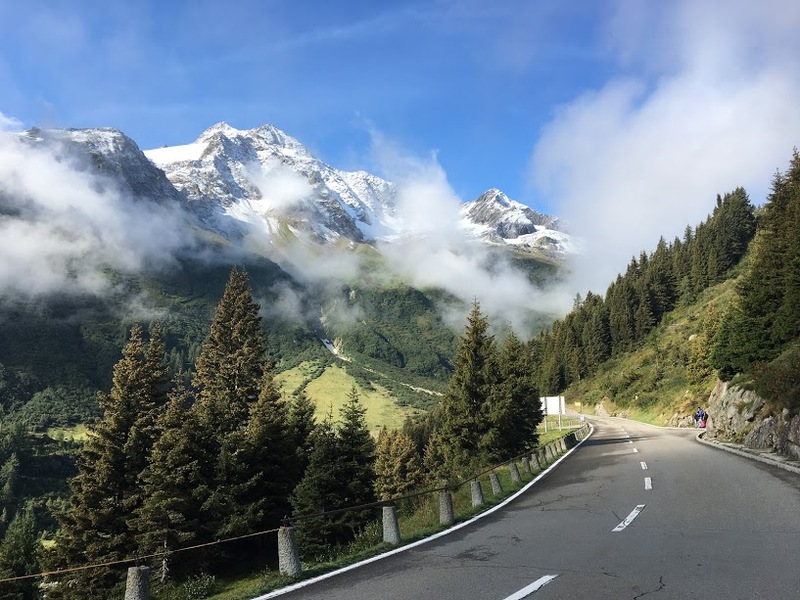 To give you an idea, we will be climbing the top 5 highest paved roads in the country. 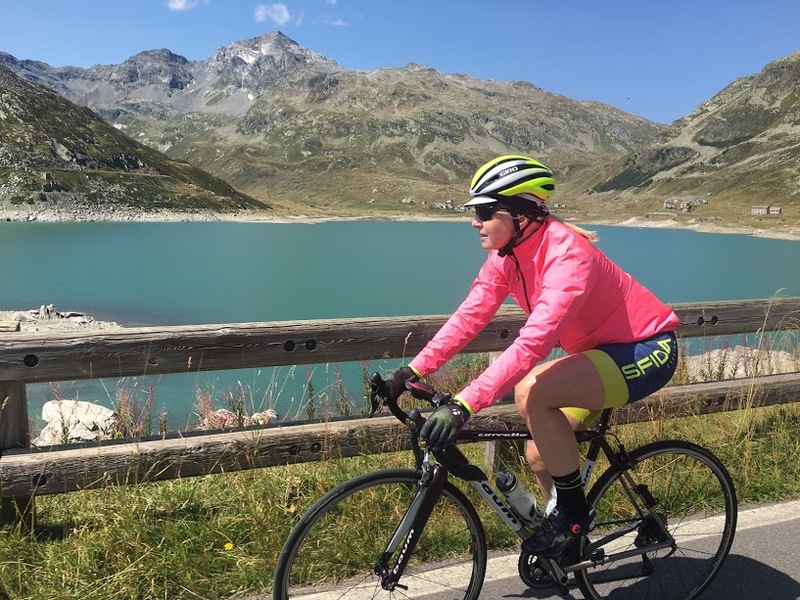 Switzerland will be one of the top cycling destinations, don’t miss out! 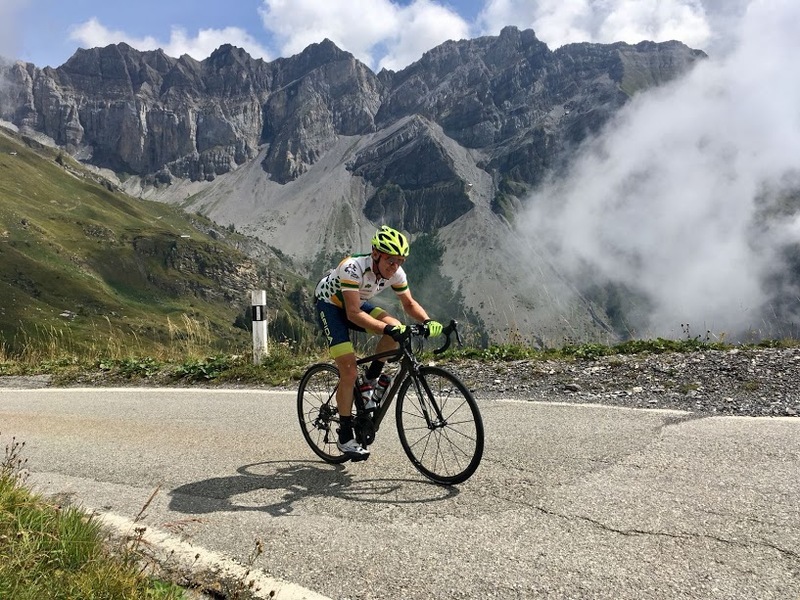 For the hardest days, we have included shorter options for the riders that want to climb the most iconic passes but don’t stay long hours on the road. 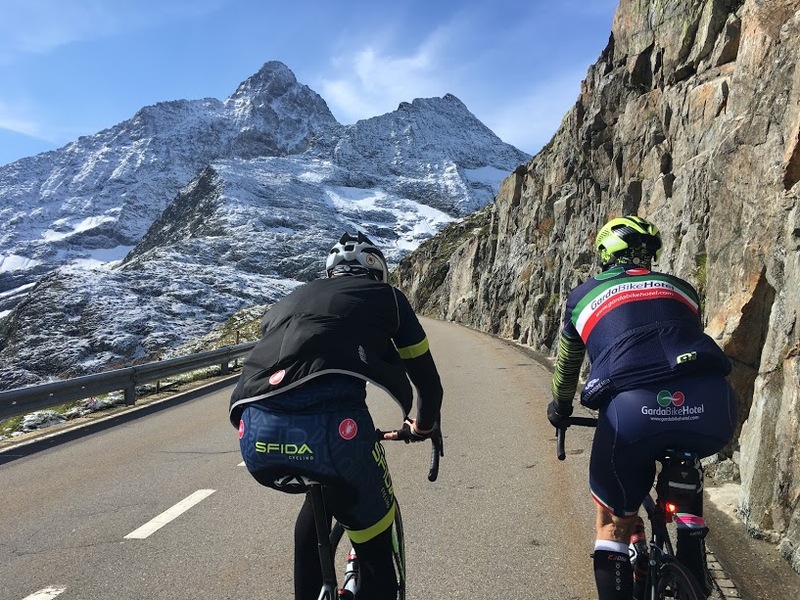 Starting in the Italian town of Aosta we will enter Switzerland from the Valais canton, in the French-speaking corner. 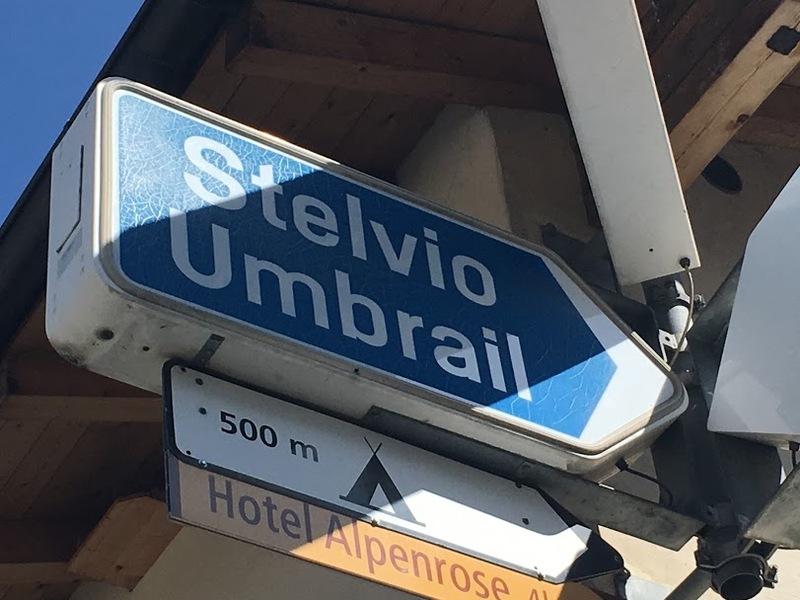 Then we will move East towards the German and Italian speaking regions of this formidable mountainous country. 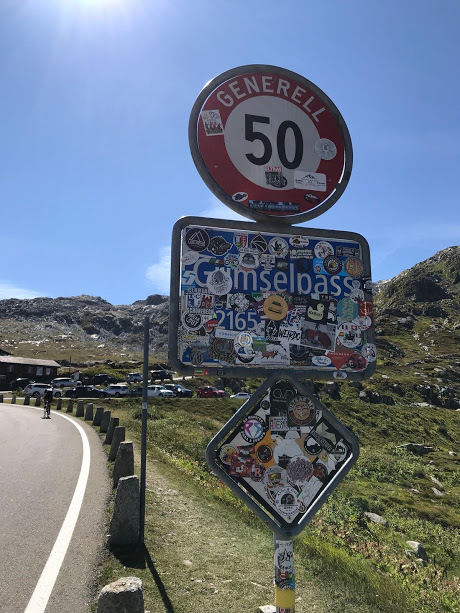 The climbs are as varied as the languages spoken, Col du Gran San Bernard, Sankt Gotthard pass, Col du Sanetsch, Maloja Pass, Furka Pass, so different and so amazing!!! 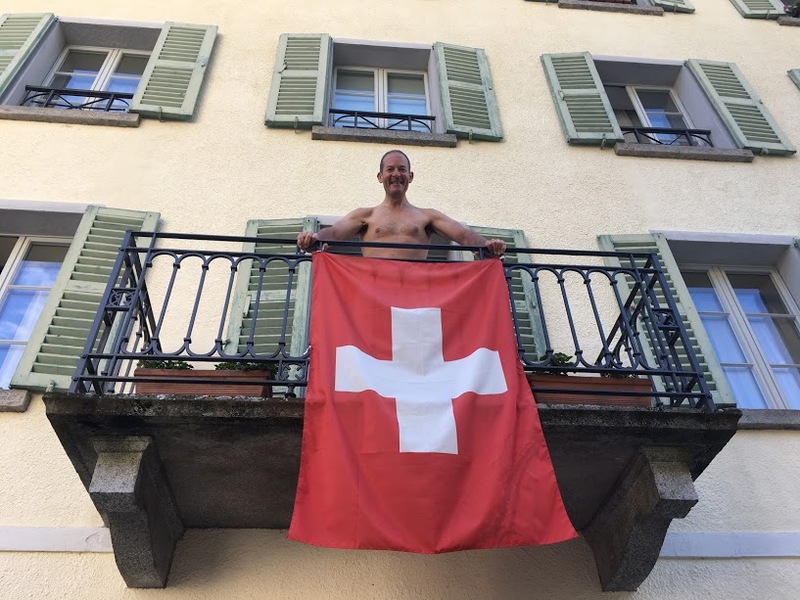 And this is just a sample on what’s to come. 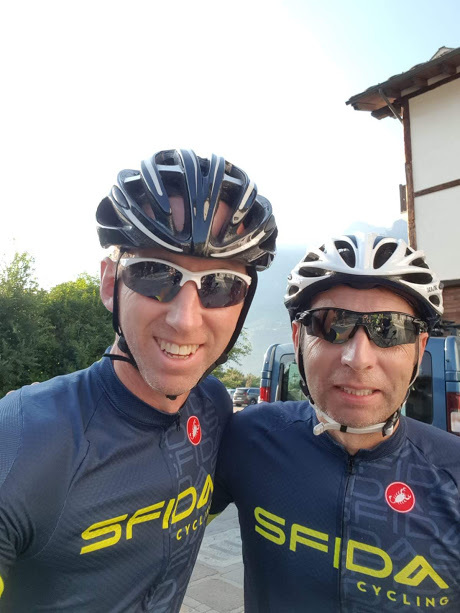 Meet the SFIDA Cycling staff at Milano Malpensa Airport (MXP) or at a designated hotel. 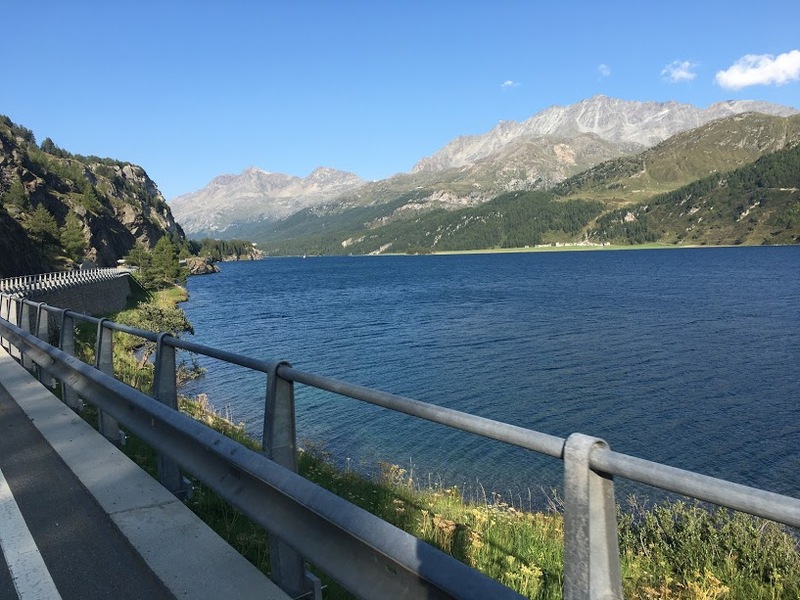 Our two hours transfer will take us to Aosta, still in Italy but a perfect place to start our trip, keep in mind that there are quite a few mountain passes between Italy and Switzerland, is a long and mountainous border. 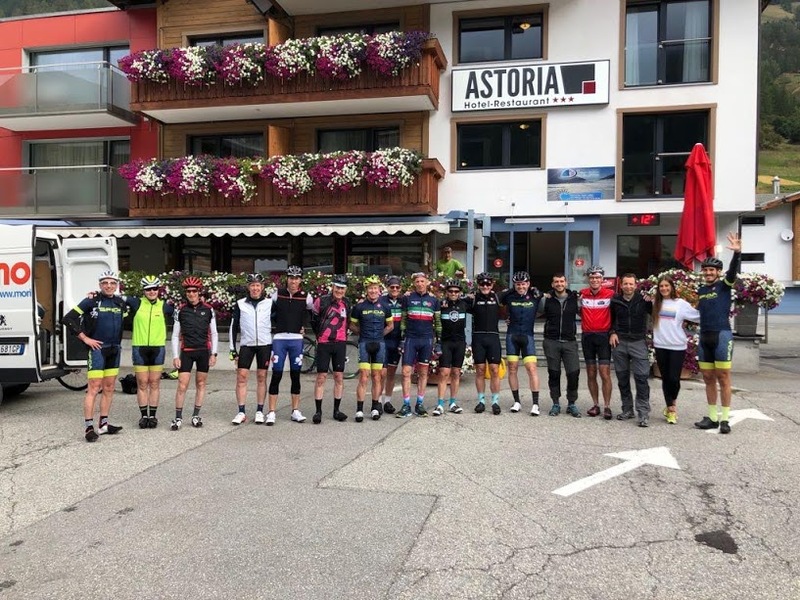 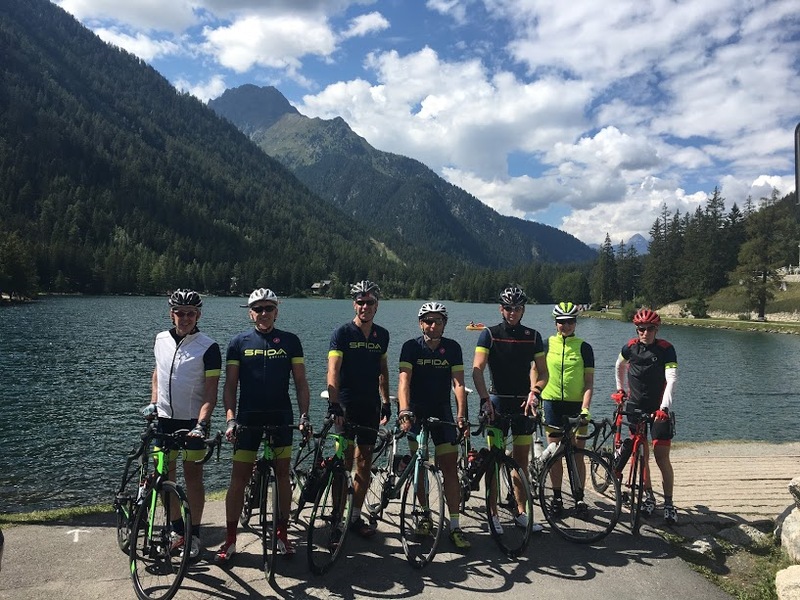 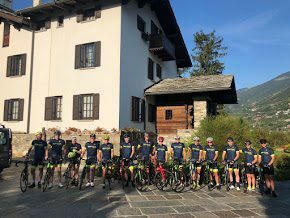 After checking at our hotel in Aosta we will proceed with our orientation meeting, lunch, and bike set up before heading up to the hills to test our legs. 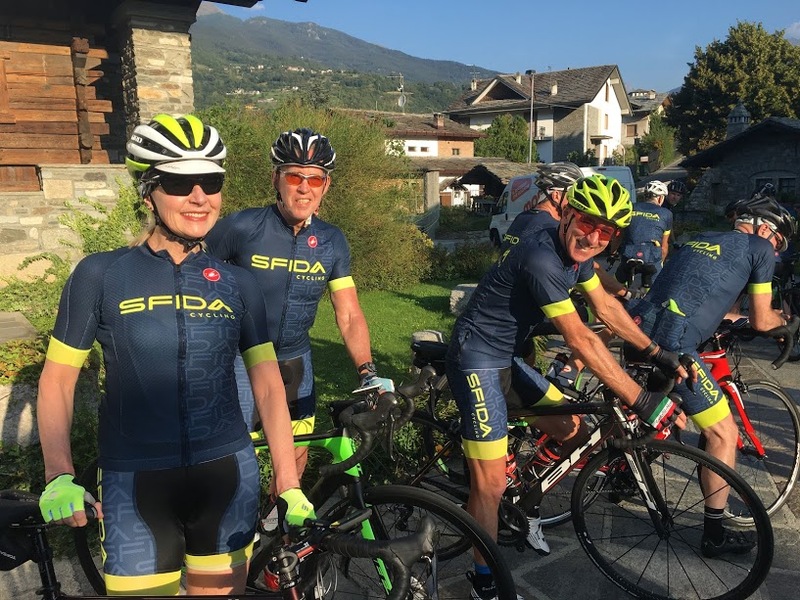 There are a good number of riding options out of Aosta, we decided to ride a loop route up to Pila. 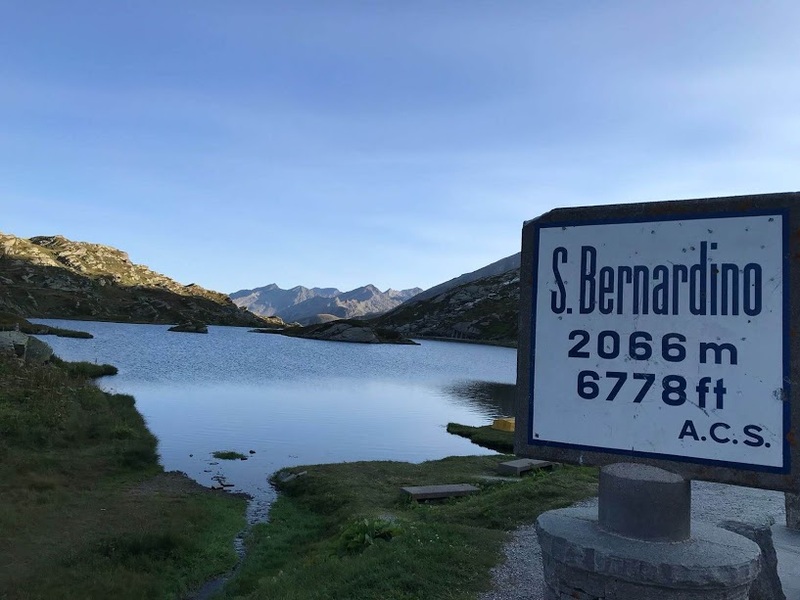 Across de Gran San Bernardo, historical pass. 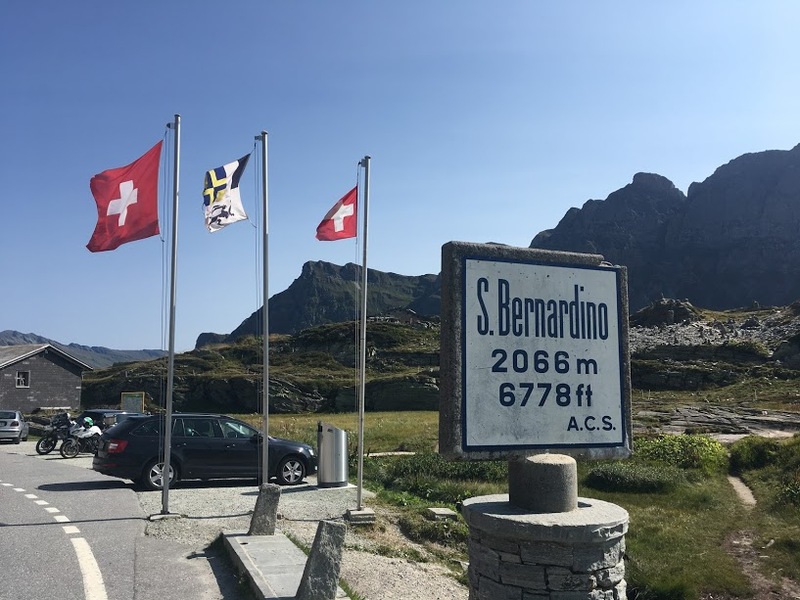 Nonetheless than six times we will be crossing the Italian – Swiss border. 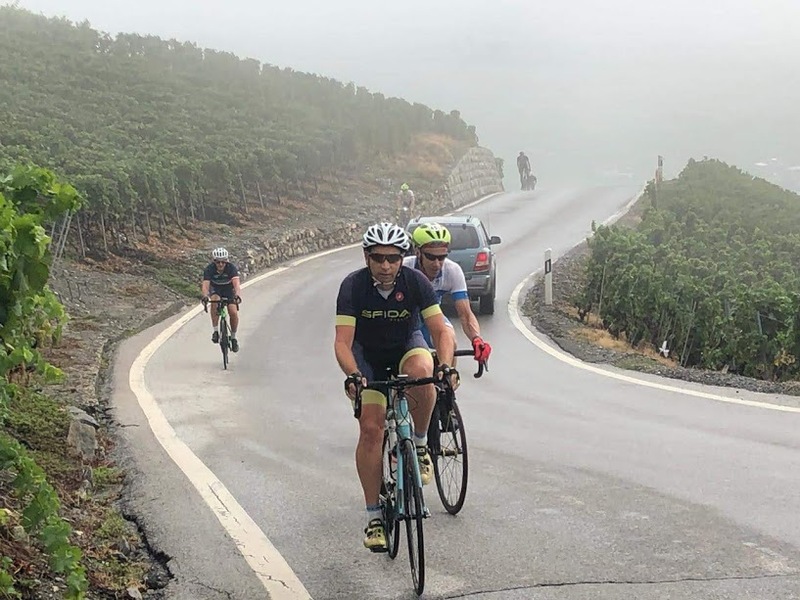 The bordering climbs are worth the effort. 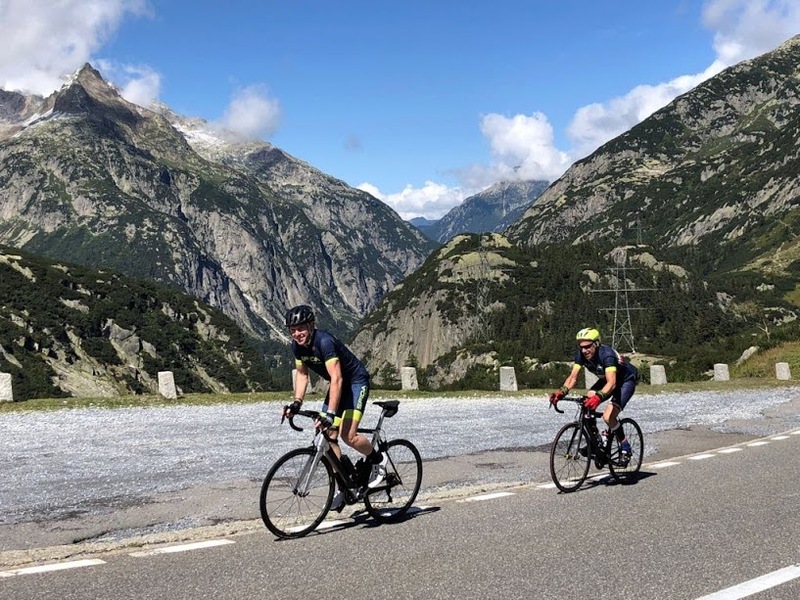 The first one will be the Col du Grand Saint Bernard, this historical road is one of the oldest passes in the Alps, with traces back to Roman times. 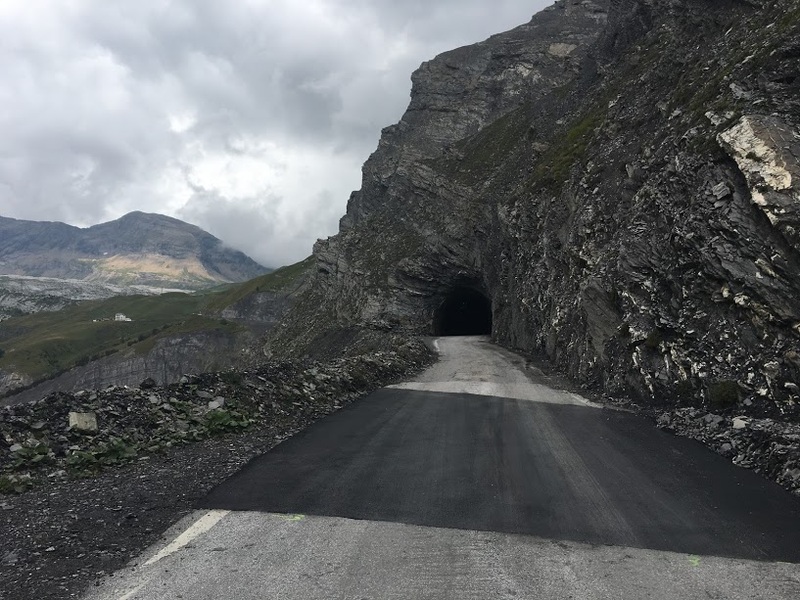 The opening of a tunnel in 1964 has meant that nowadays the higher parts of Col have less traffic and are ideal to climb on a bike. 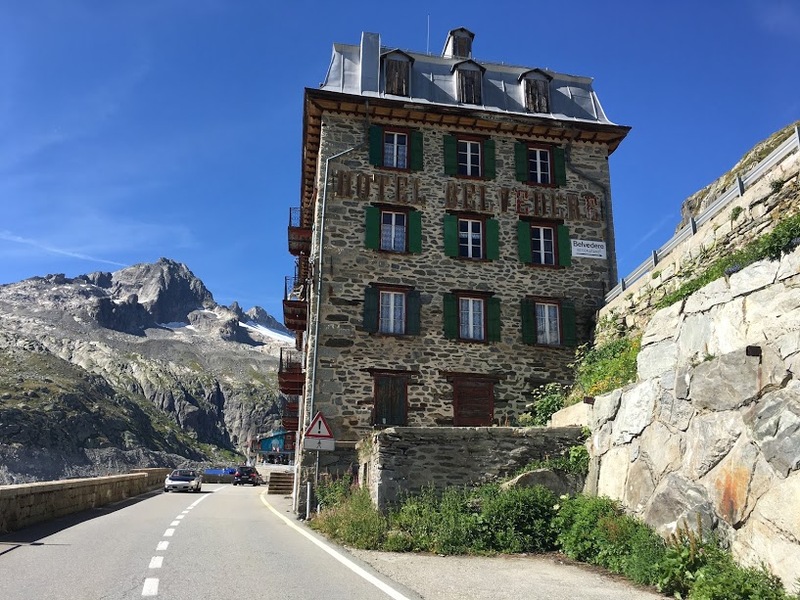 At the top of the climb, already on the Swiss side, we find the Hospice du Grand Saint Bernard, founded in 1049 to help stranded travellers. 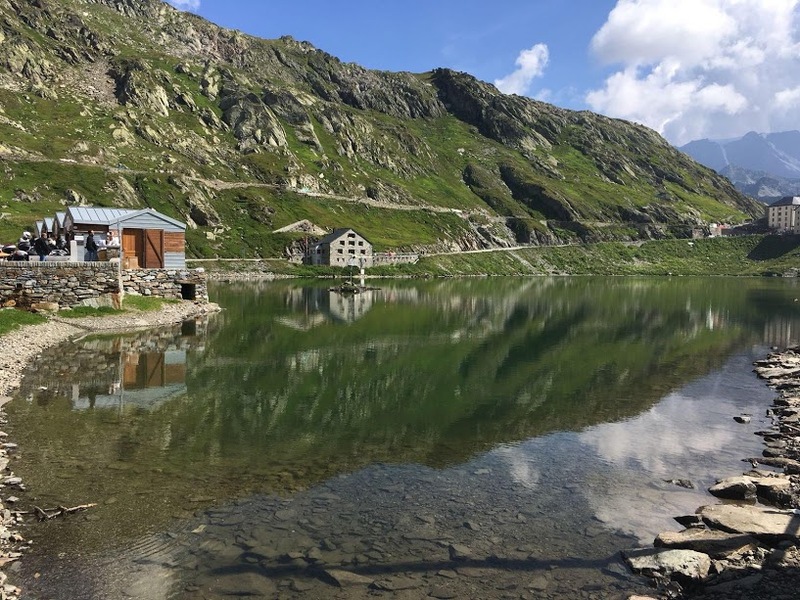 It is here where later on they started to use the Saint Bernard dogs for rescue operations. 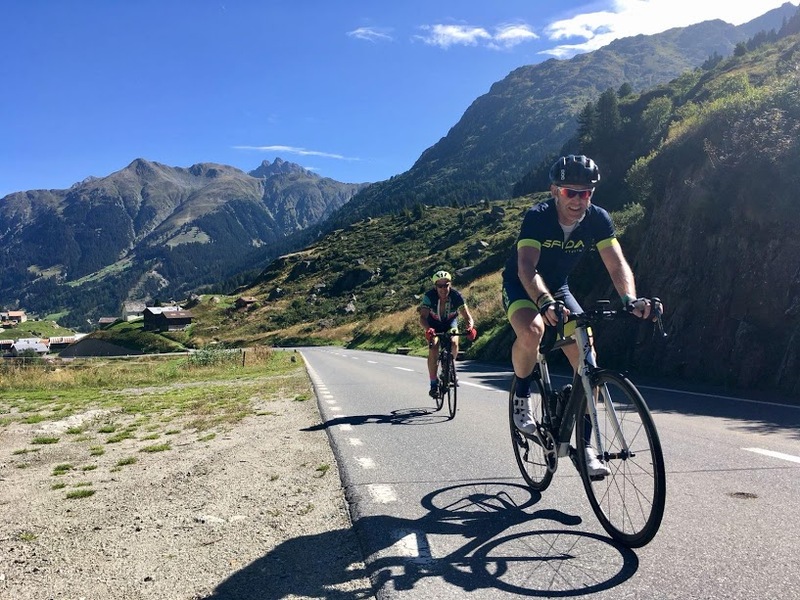 After spending some time a the top of this mountain we will keep riding, a long descent to the small town of Orsieres where a scenic road will take us up to Champex Lac. 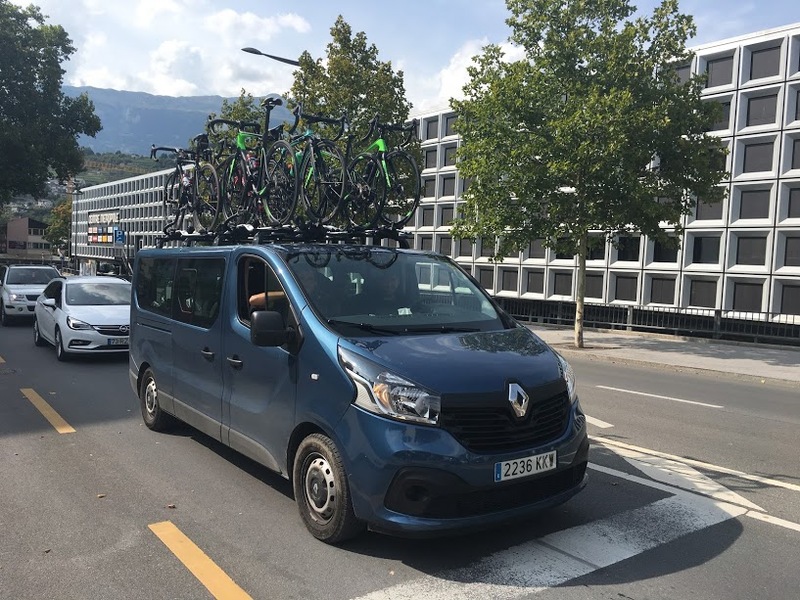 From here we will ride down to Martigny, our final destination for the day. 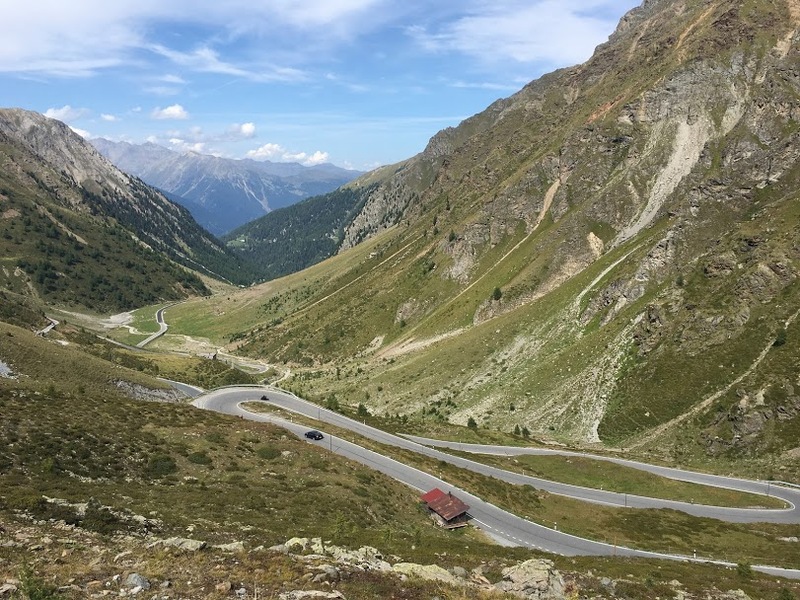 Col du Sanetsch, giant dormant of the Alps. 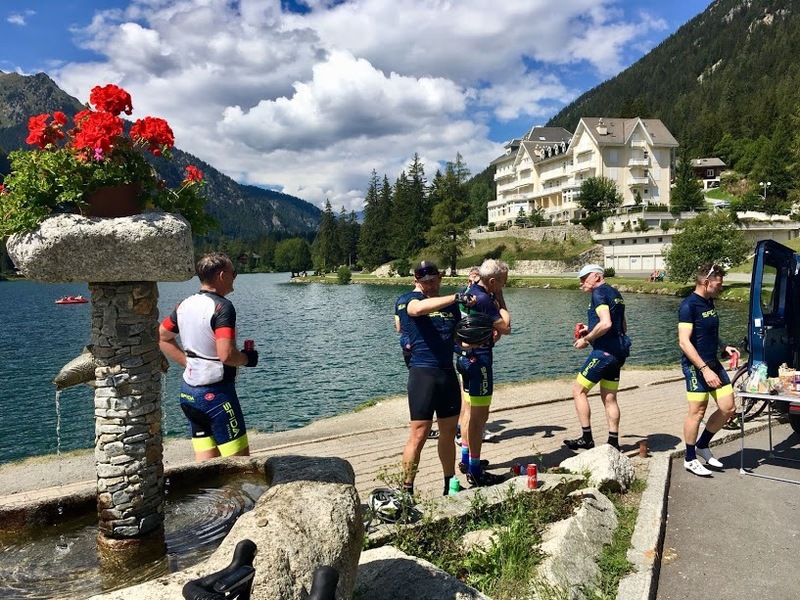 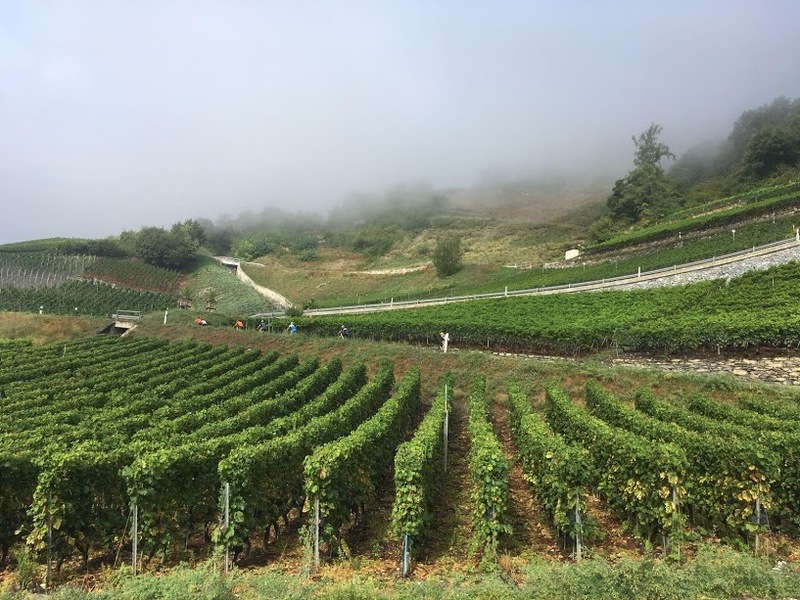 Today we start our ride out of Martigny via the prosperous wine region of the Valais, soon we will find our first climb of the day. 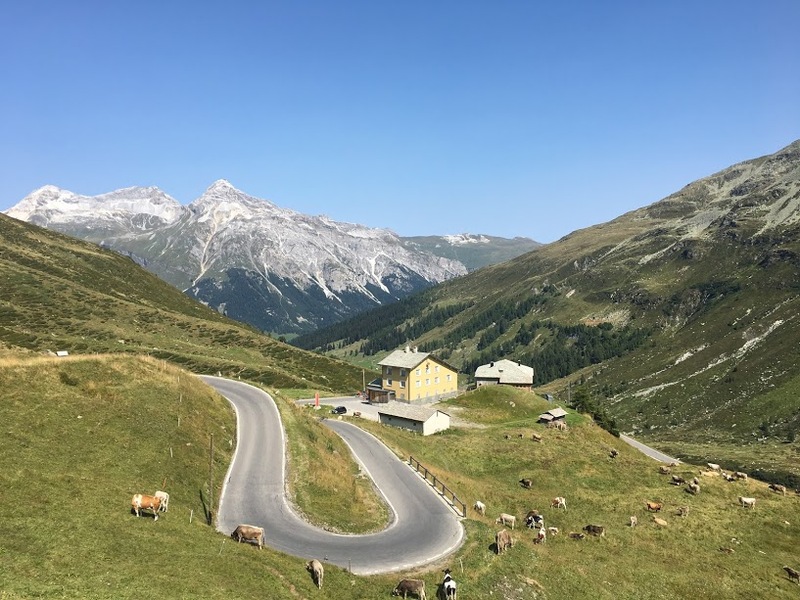 Ovronnaz has featured in the Tour de Suisse, from Leytron it is 8km long and 9.5% on average, so a tough short climb! 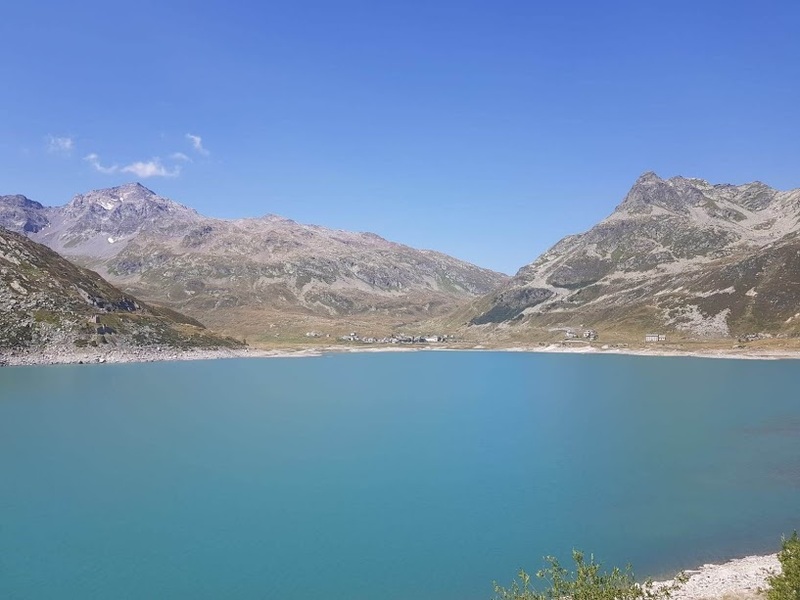 From there we will descend to Conthey and start climbing the Col du Sanetsch, a long road and very scenic road will take us up to the lac de Senin. 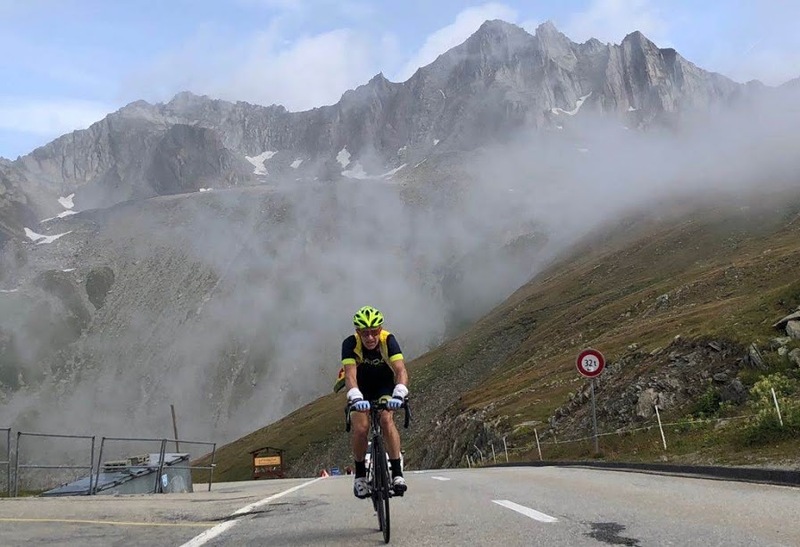 Col du Sanetsch is one of the great unknown HC climbs in the Alps, also is considered one of the nicest, time to discover this dormant monster climb. 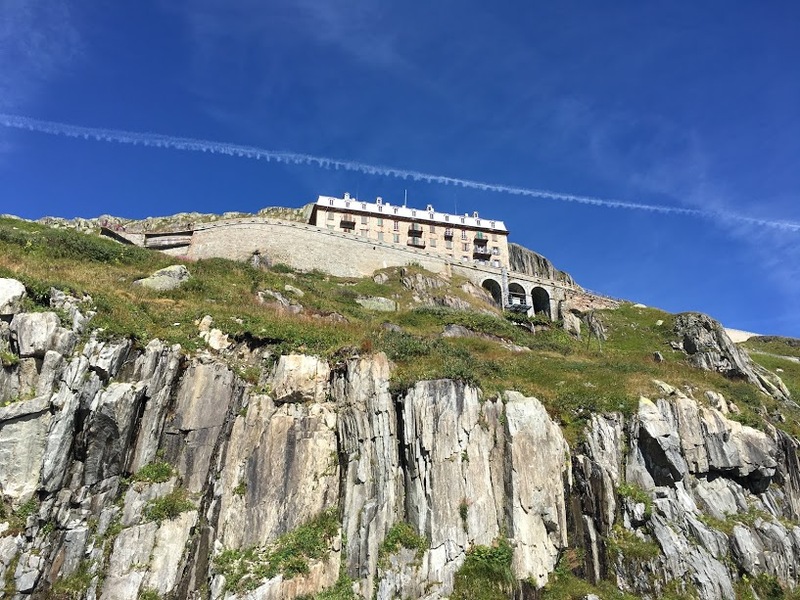 A spectacular descend will take us to Sion, the capital of the Valais Canton, inhabited from prehistoric times, nowadays the Castle of Tourbillon dominates the landscape of this interesting city. 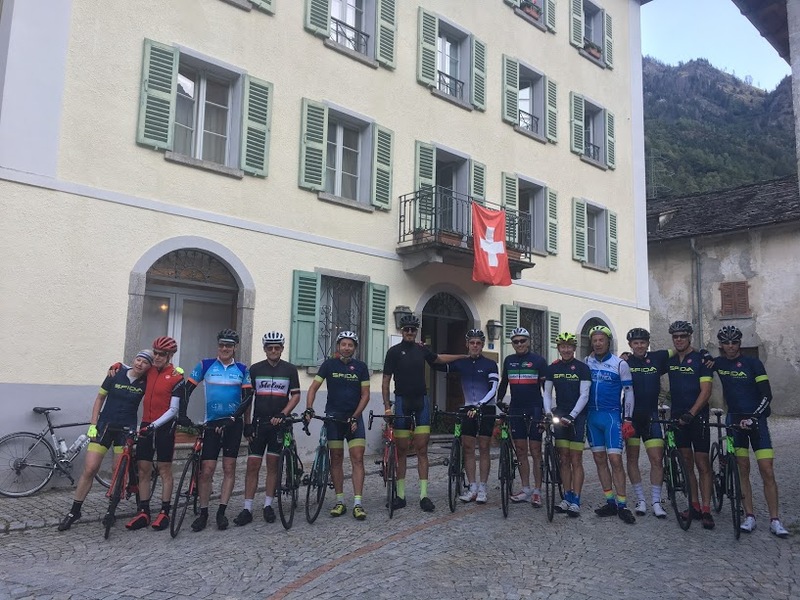 After the ride, we will have a 1H30 transfer to Ulrichen. 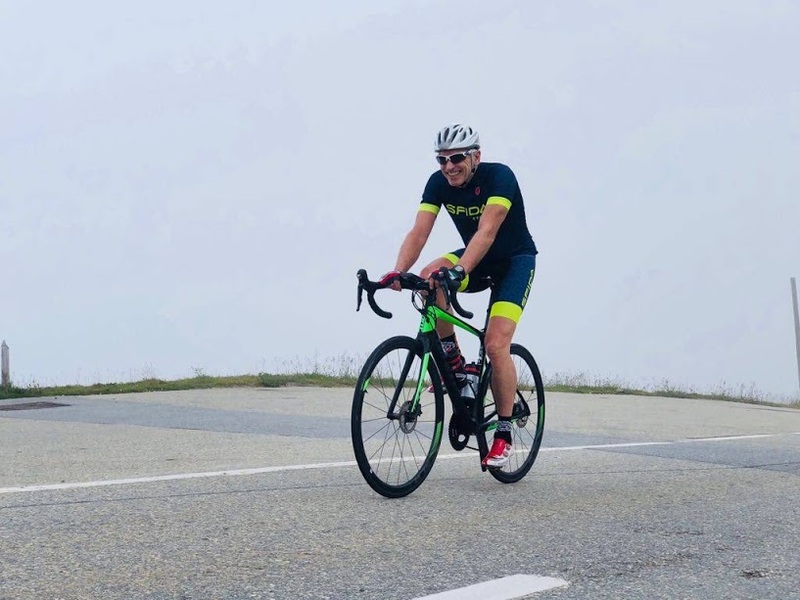 CLIMBS: Ovronnaz 1,596m. 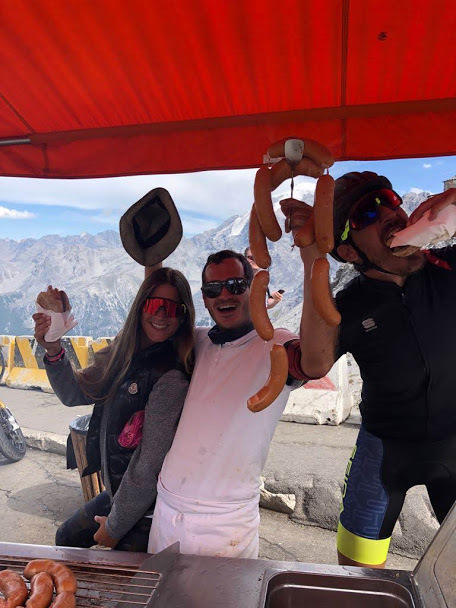 Col du Sanetsch 2,252m. 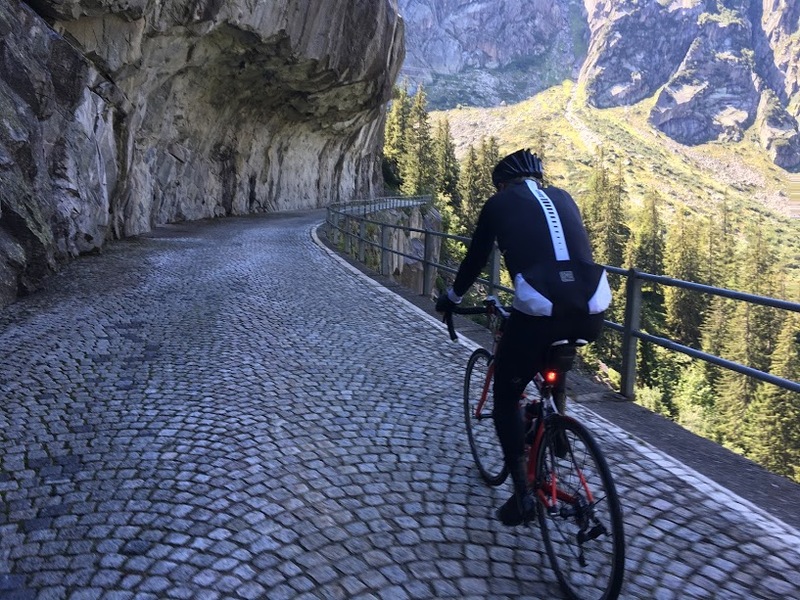 SanktGotthard pass, last 7km on cobbles! 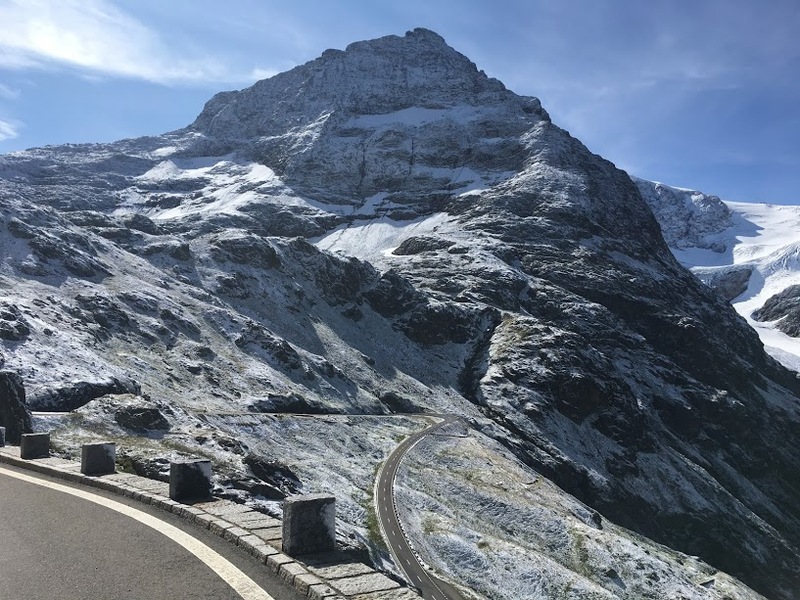 Today we are starting our ride at the foot of the Nufenenpass. 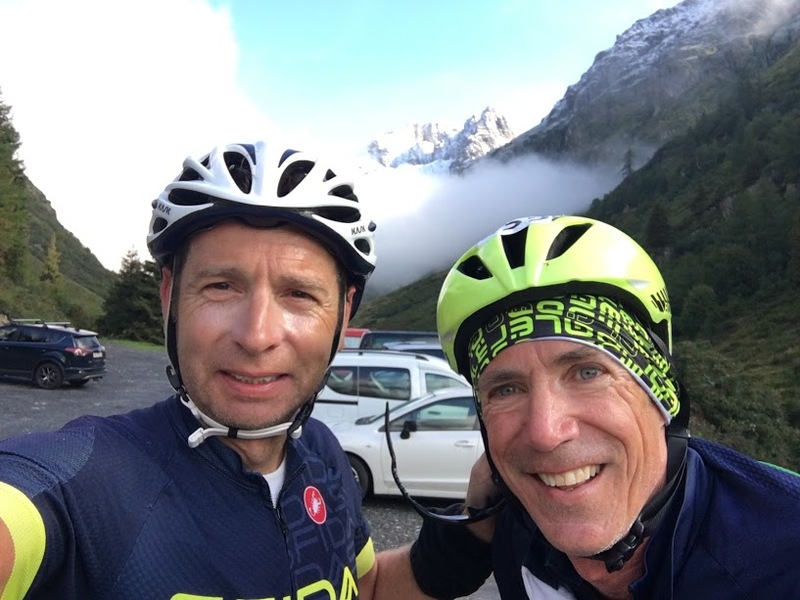 With 14km at 8%, this is a long and steady climb with plenty of hairpins and great views. 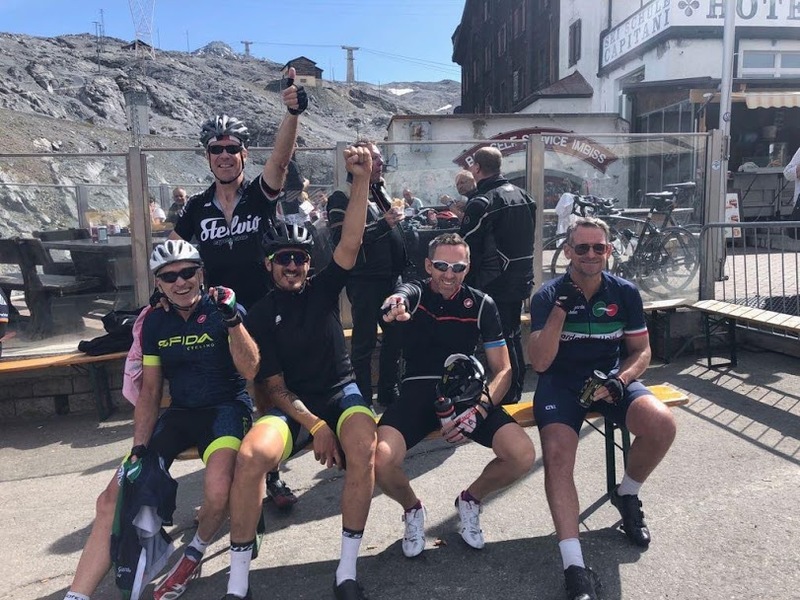 From the top is a long descent to Airolo, note that we started the day in French, climbed in German and descended in Italian, time perfect your accent!! 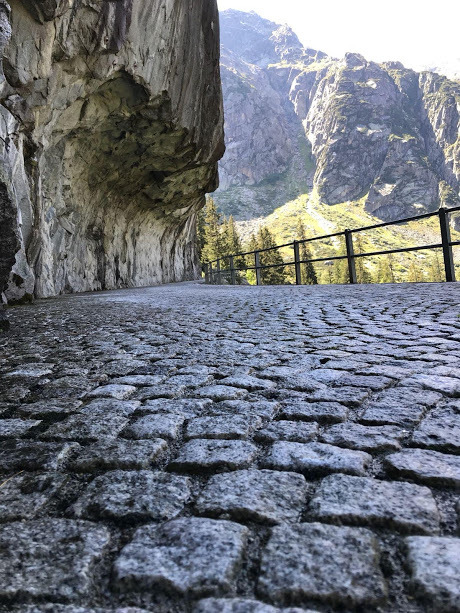 From Airolo we will start one of the most memorable climbs in the Alps, the Passo del Sant Gottardo/ Sankt Gotthardpass is live history. 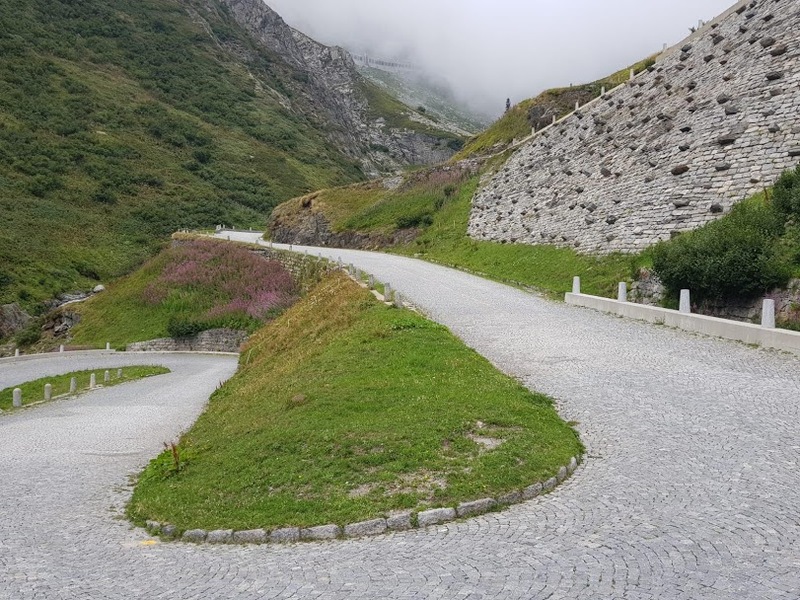 We will join the Tremola road and for the last 7 km we will be riding in the cobbled section, unforgettable. 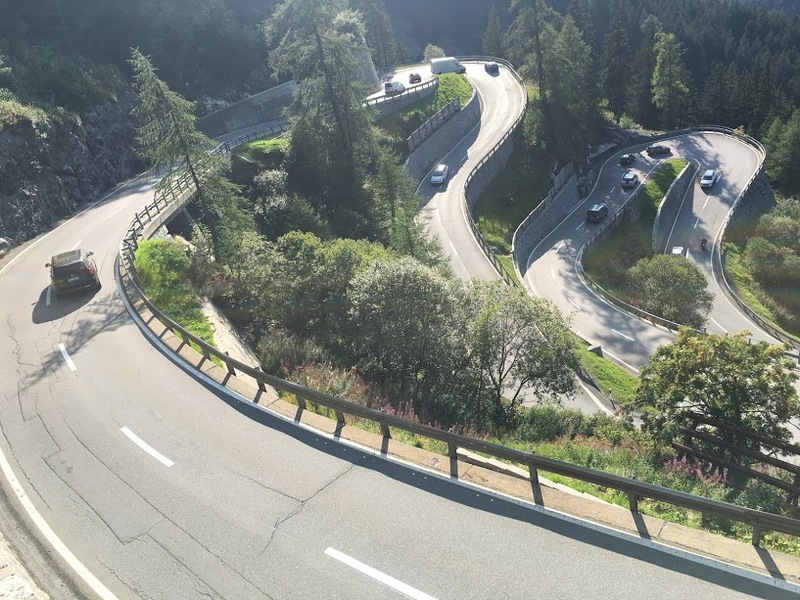 My advice, ride slow, stop to take pictures, enjoy every meter of this singular climb. 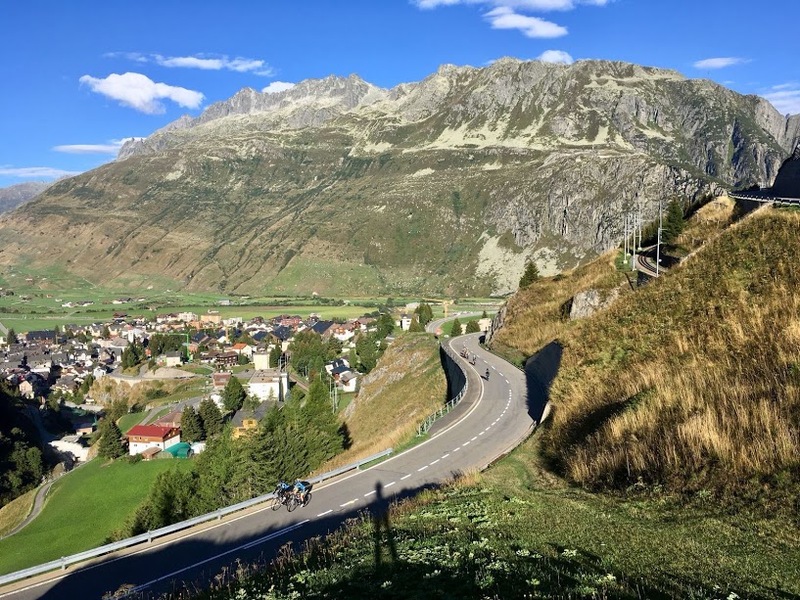 Descending towards Andermatt, we will still ride some sections of the old road. 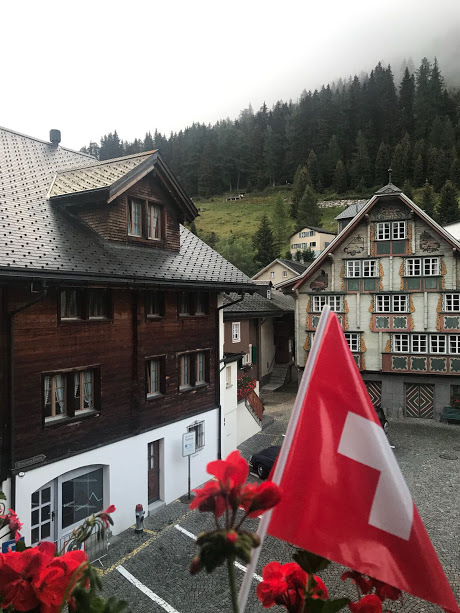 We are spending two nights in this centrally located town, lots of climbs starting from here. 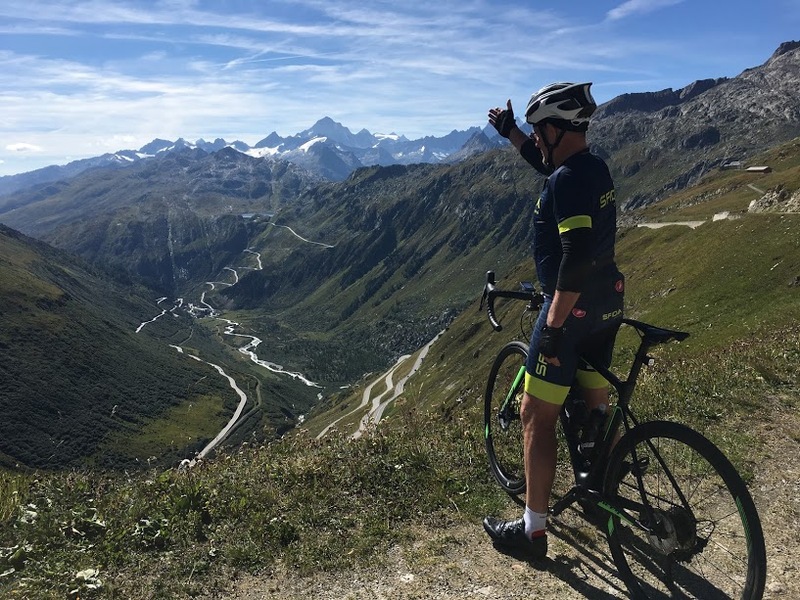 CLIMBS: Nufenenpass 2,480m. 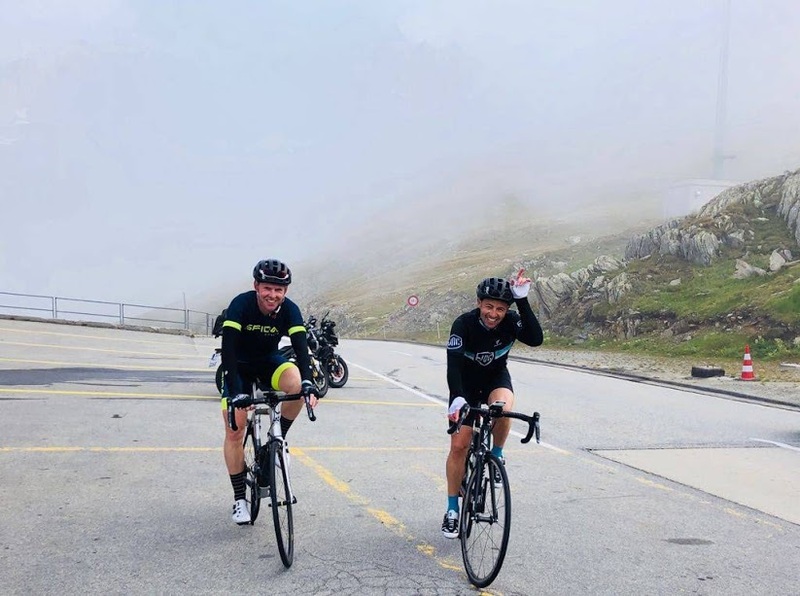 SanktGotthardpass 2,109m. 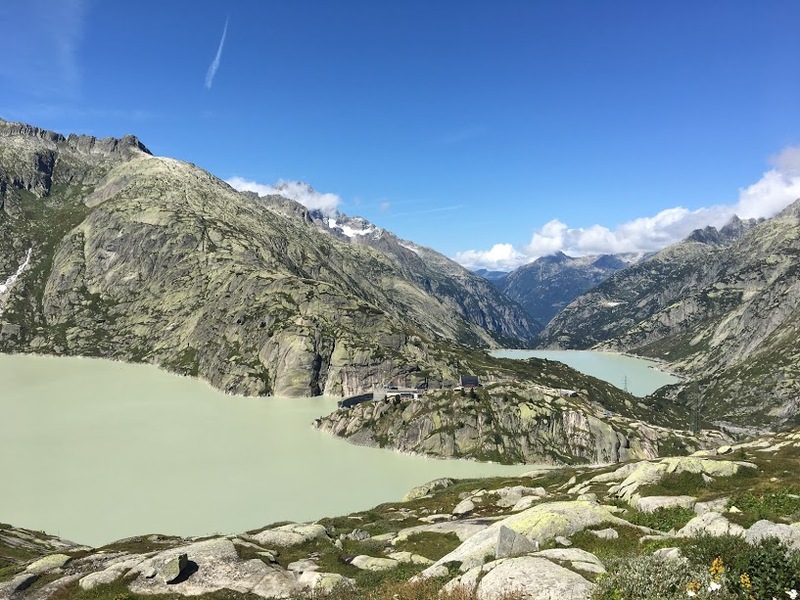 Magic loop: Susten, Grimsel and Furka passes. 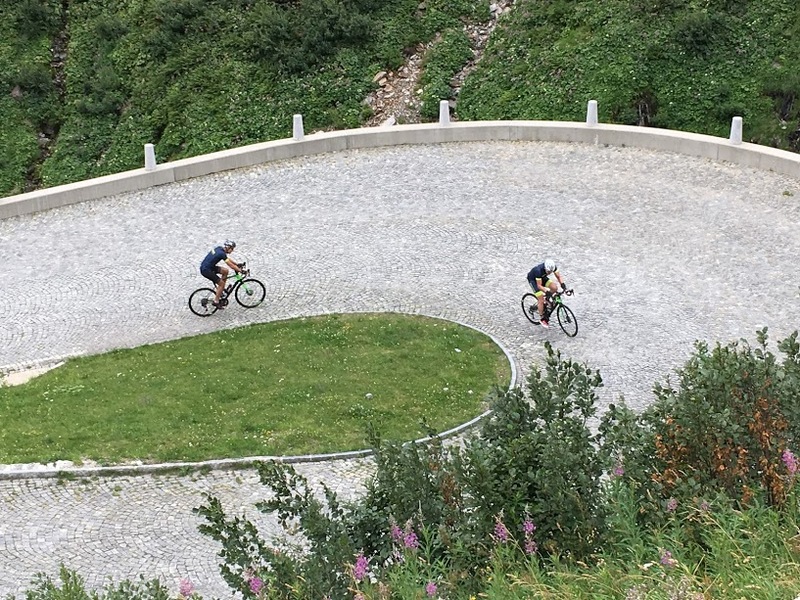 Today’s ride is one of the most famous loops (and hardest) that you can ride in Europe. 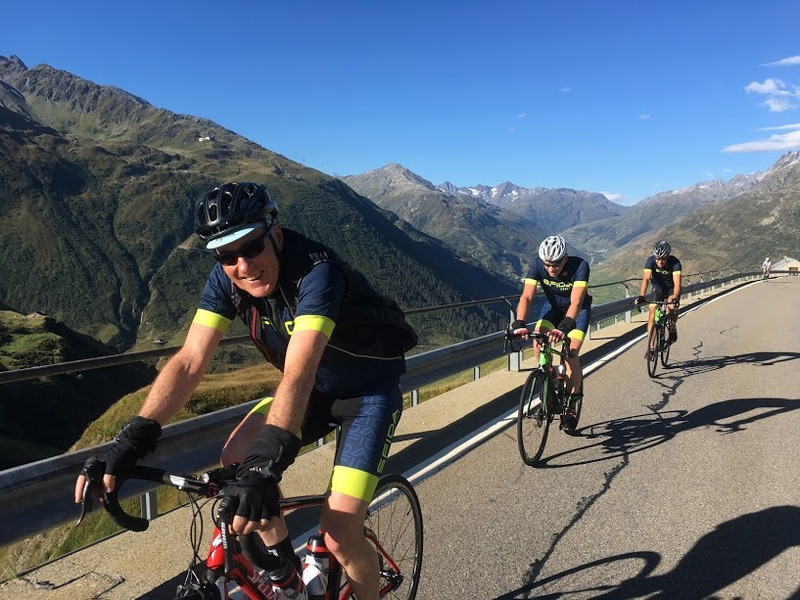 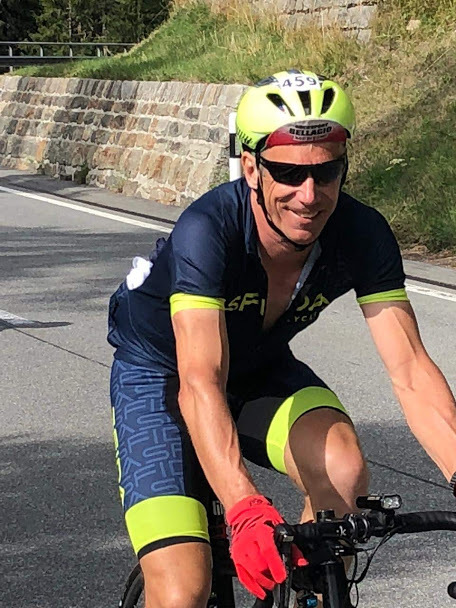 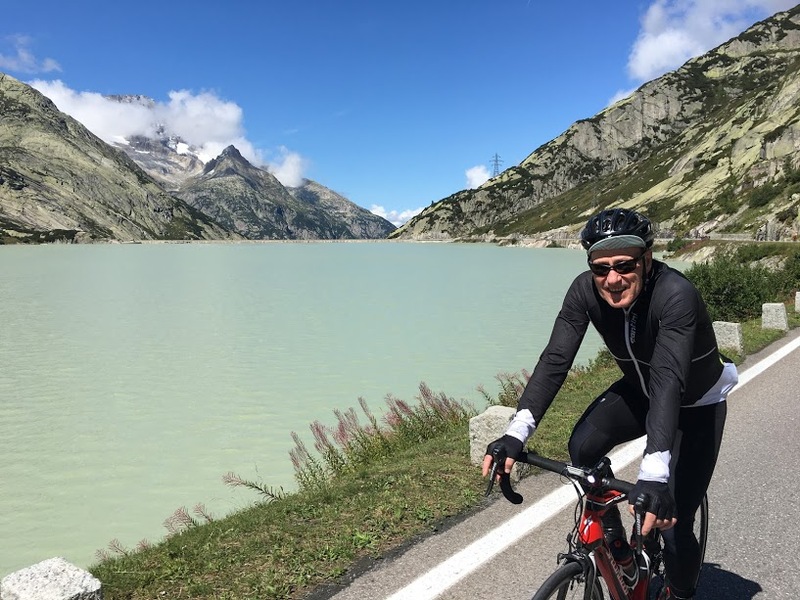 Riding Anticlockwise from Andermatt we will link three of the most iconic passes in Switzerland, in this order: Sustenpass, Grimselpass and Furkapass, all over 2000mts and very scenic. 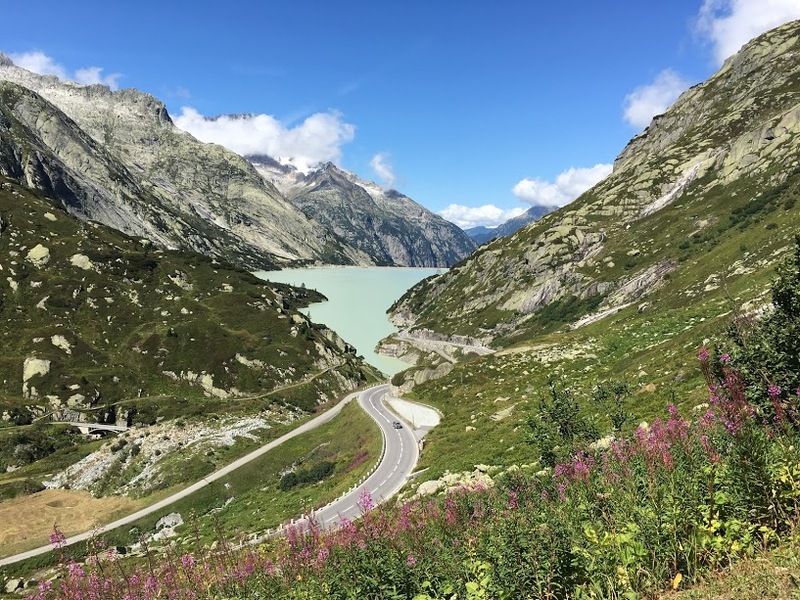 Expect some amazing picture opportunities on this amazing ride, especially from the top of the Grimsel pass over the Furka pass! 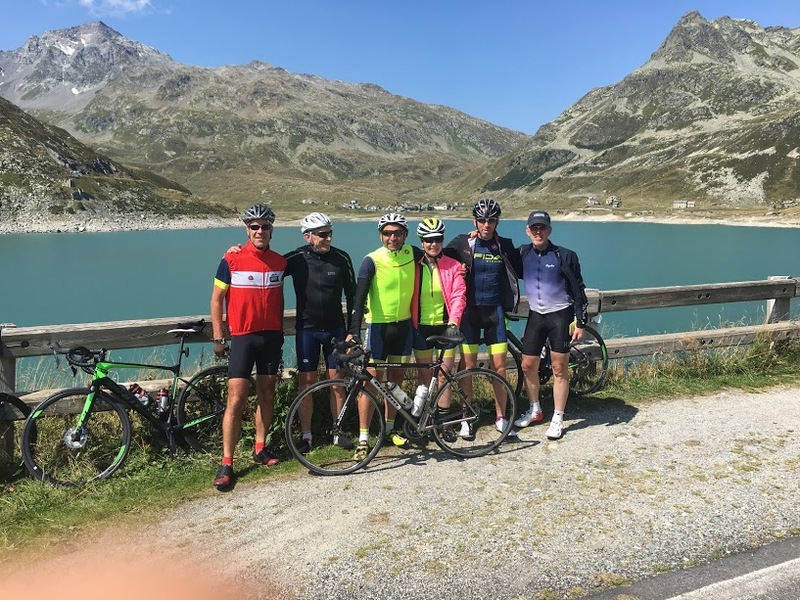 CLIMBS: Sustenpass 2,224m. 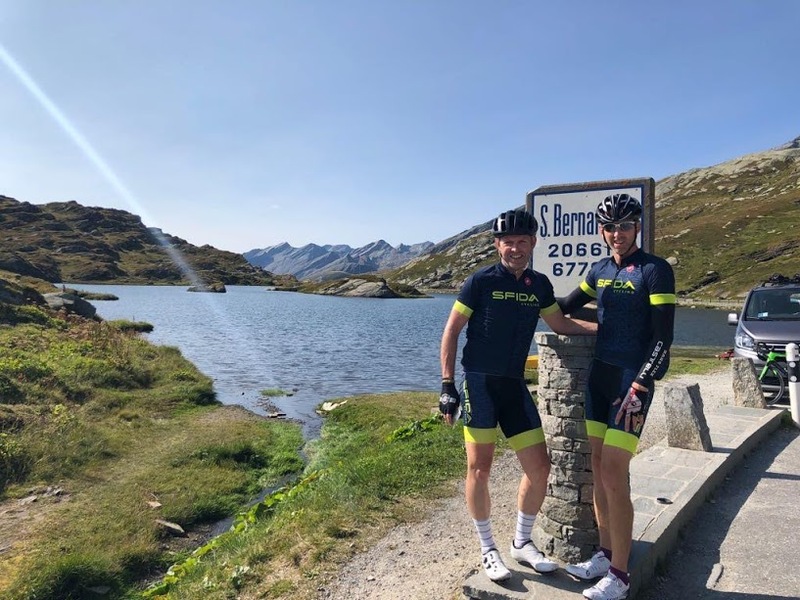 Grimselpass 2,175m. 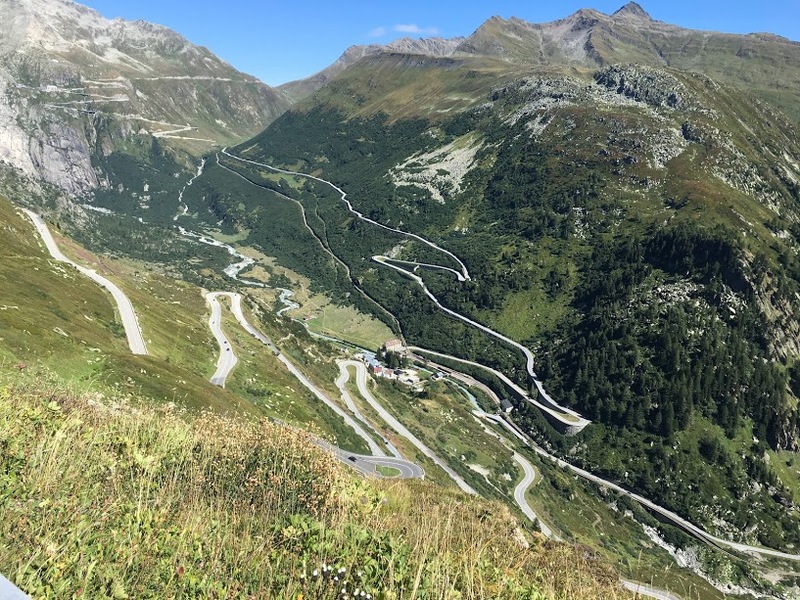 Furkapass 2,429m. 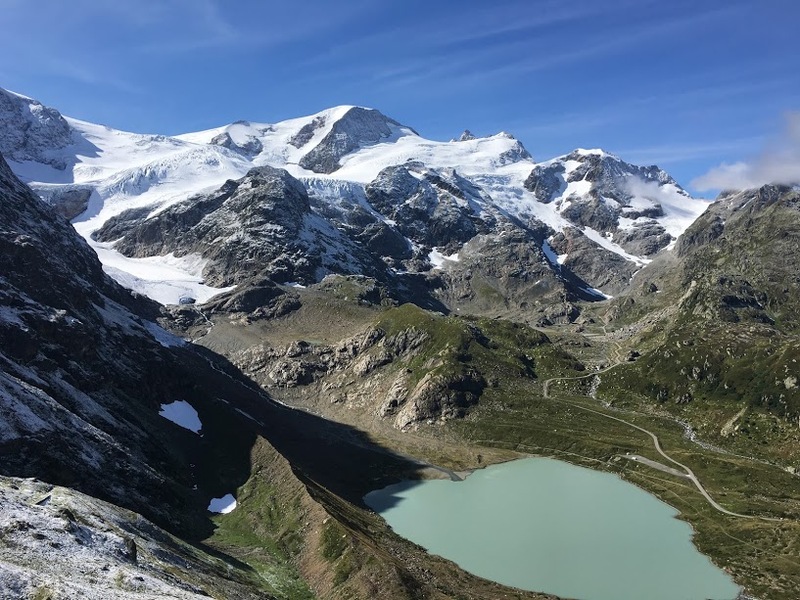 from Gletsch. 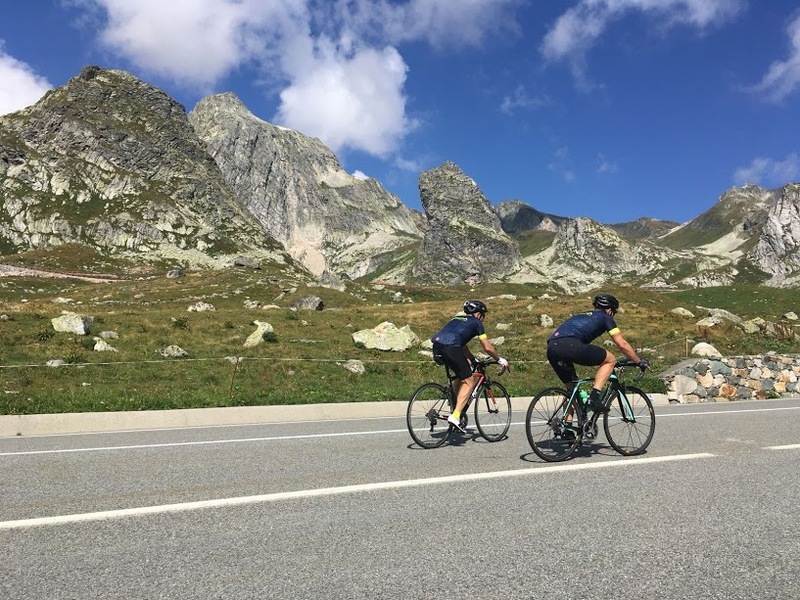 Leaving Andermatt behind we start the longest ride of the trip, luckily the two climbs today are not too hard, the Oberalppass and Lukmanierpass. 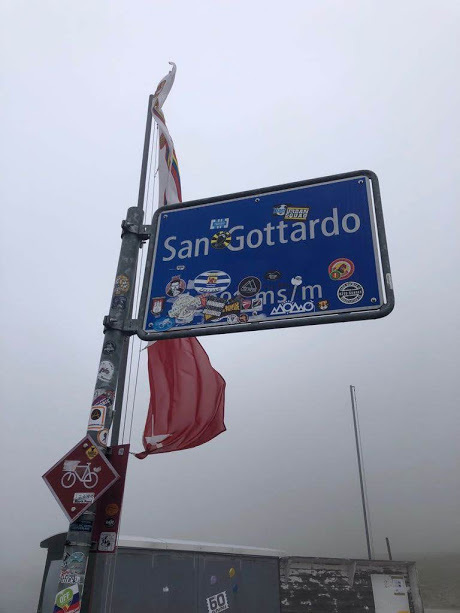 This last one is on the border with Italy, today we will cross the border twice! 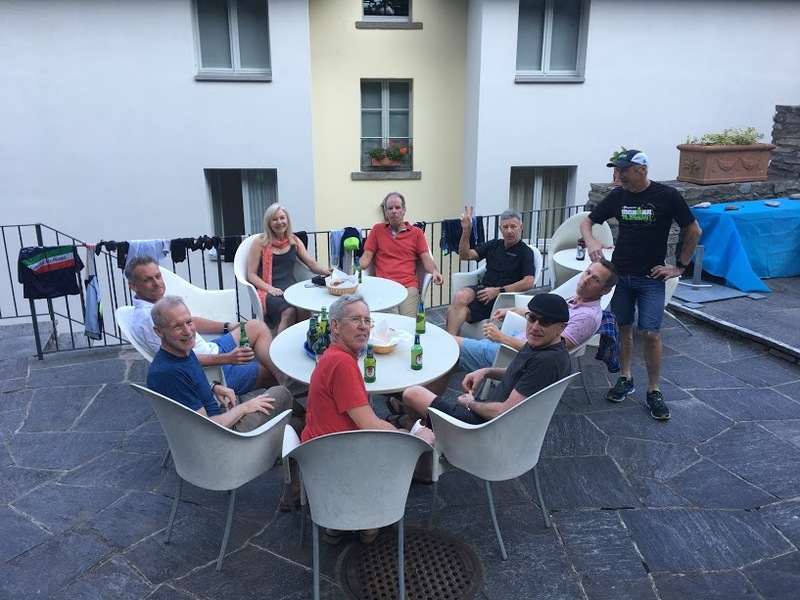 Our hotel is situated in Soazza, on the slopes of the Passo San Bernardino. 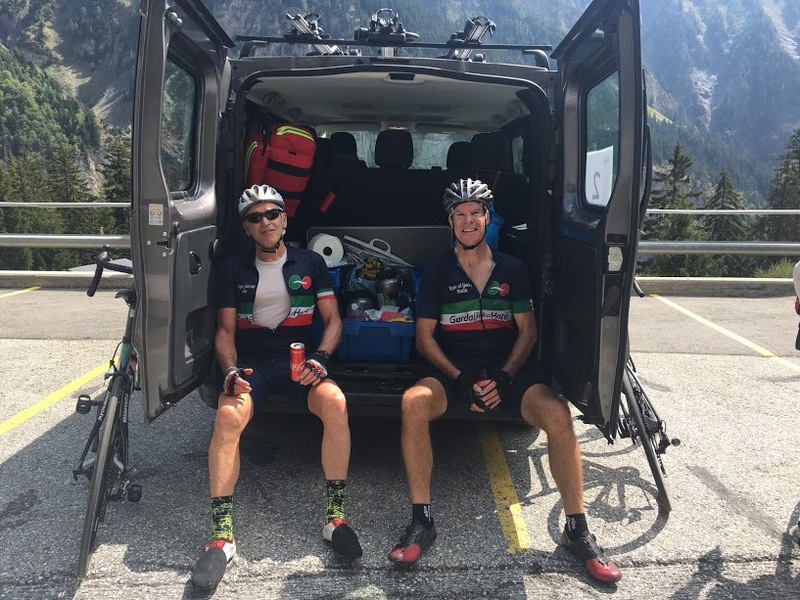 San Bernardino, Splugen, Maloja…Queen stage!. 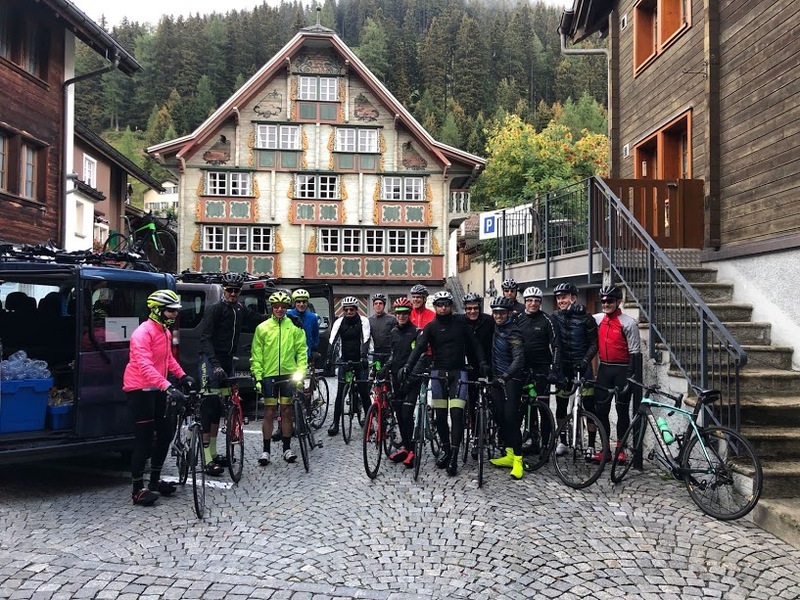 We start our ride climbing up to Passo San Bernardino, another giant climb that becomes more scenic the closer you get to the top, definitely one of the most beautiful rides in Switzerland. 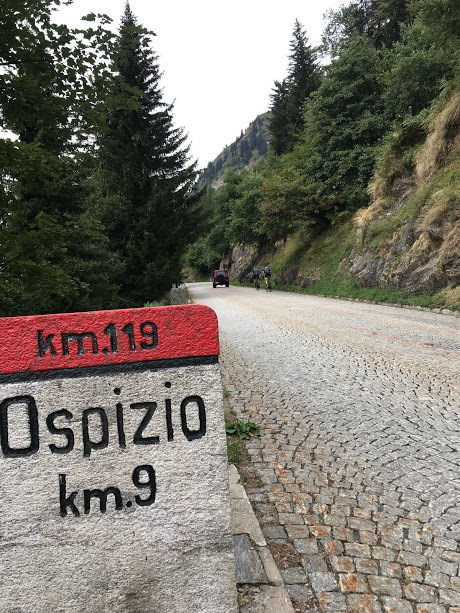 This is another historical route, open to traffic in 1770, at the top, there’s the Ospizio San Bernardino, used to give shelter to travellers, sited by a small lake, very picturesque. 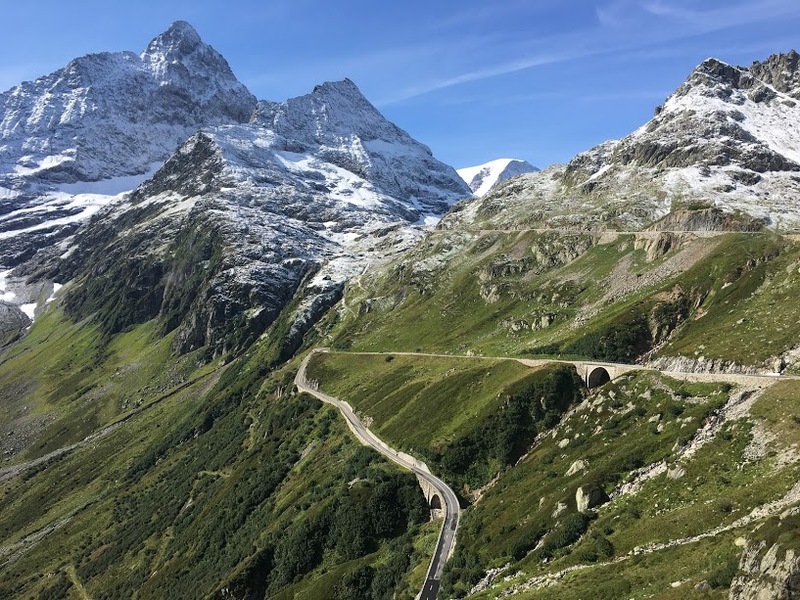 Our descent will take us to the start of the Splugenpass, we will climb the last 9km of this bordering pass before descending into Italy. 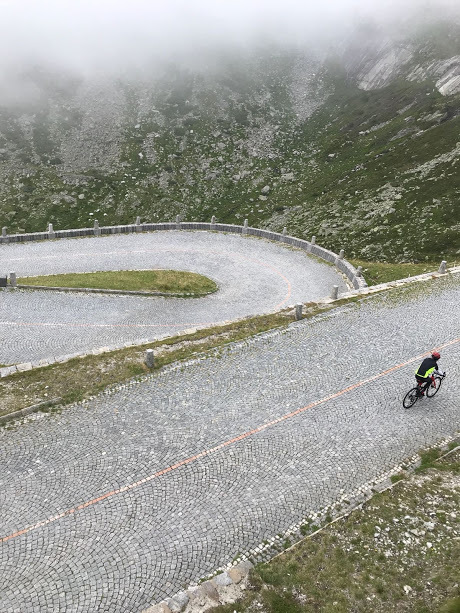 It’s a long downhill before we start our last climb of the day, the Malojapass, the last kilometres of this pass will be memorable with a continuation of switchbacks. 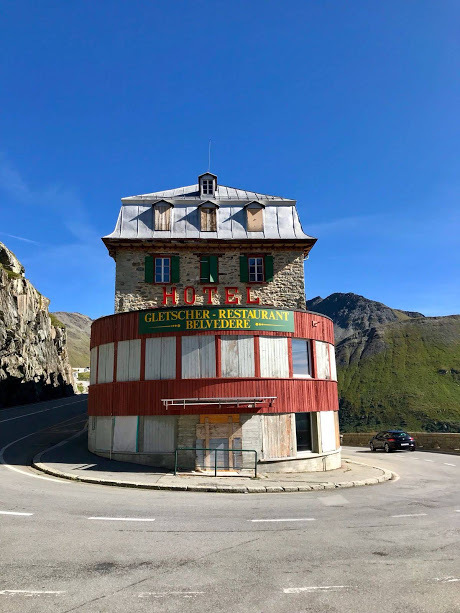 Today our hotel in between the lakes Silser and Silvaplaner, at the top of the pass. 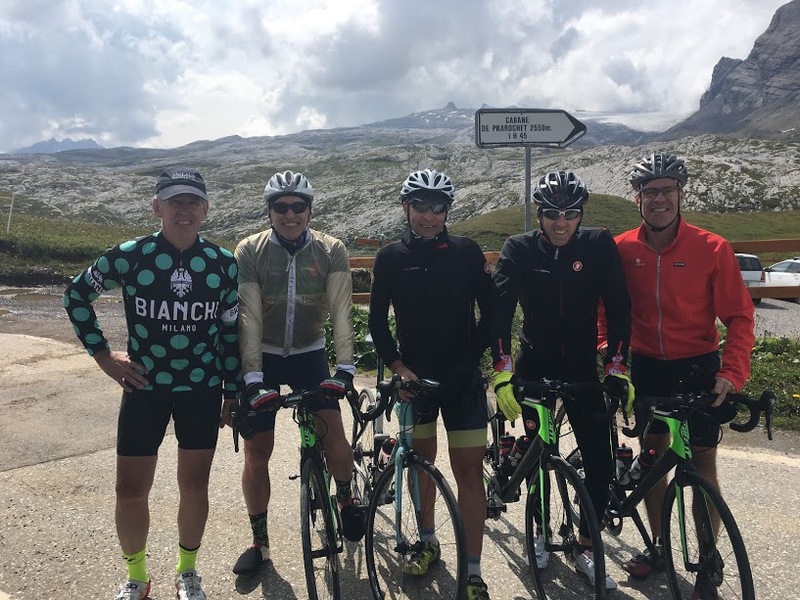 CLIMBS: Passo del San Bernardino 2,065m. 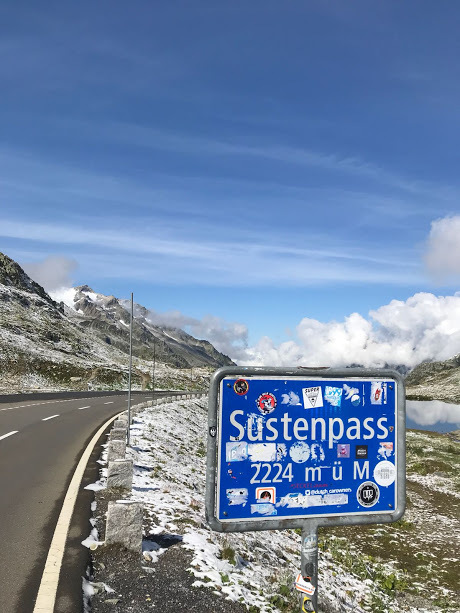 Splugenpass 2,113m. 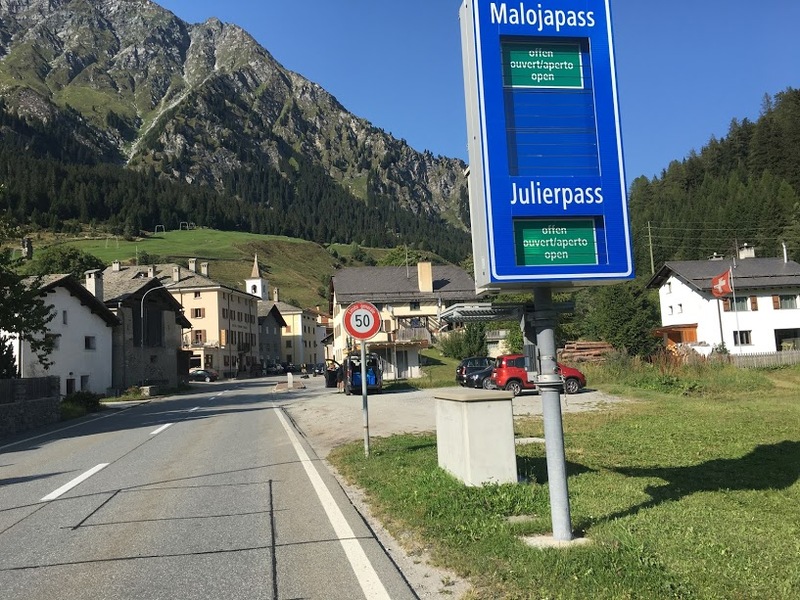 (from Splugen) Malojapass 1,185m. 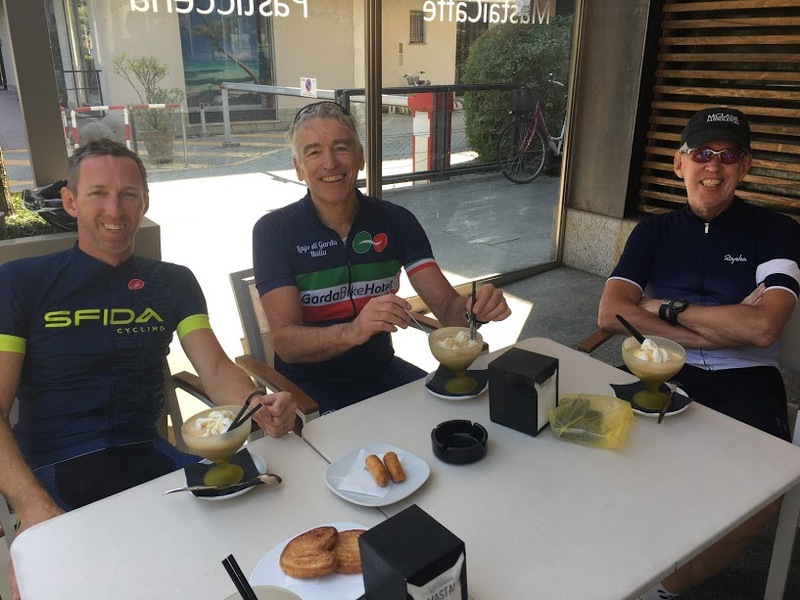 Last climb up to Passo Umbrail, the highest fo the trip. 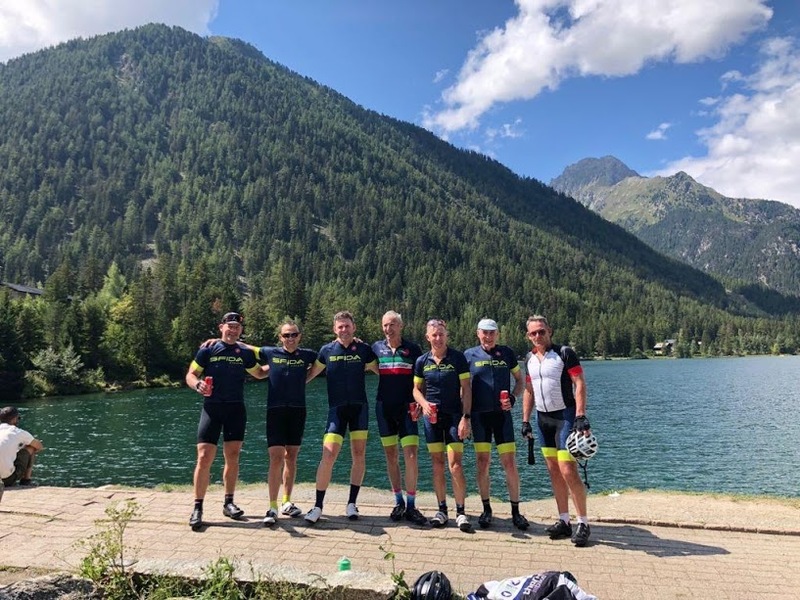 Last ride of the trip and we have spared you the highest climb for last! 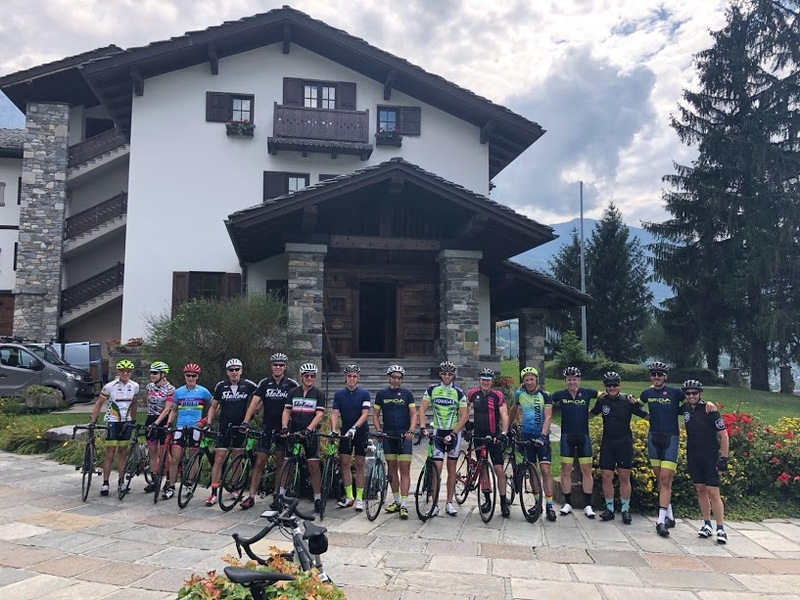 We will start the day with a pleasant ride along the valley to Zernez, from here starts the 22km climb to the Ofenpass, a gentle one after the ones we had to endure in the last days. 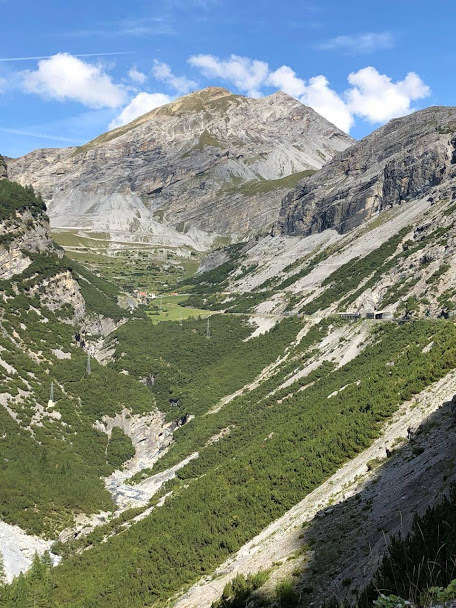 A fast descent will take us to Santa Maria, here starts the infamous Umbrailpass. 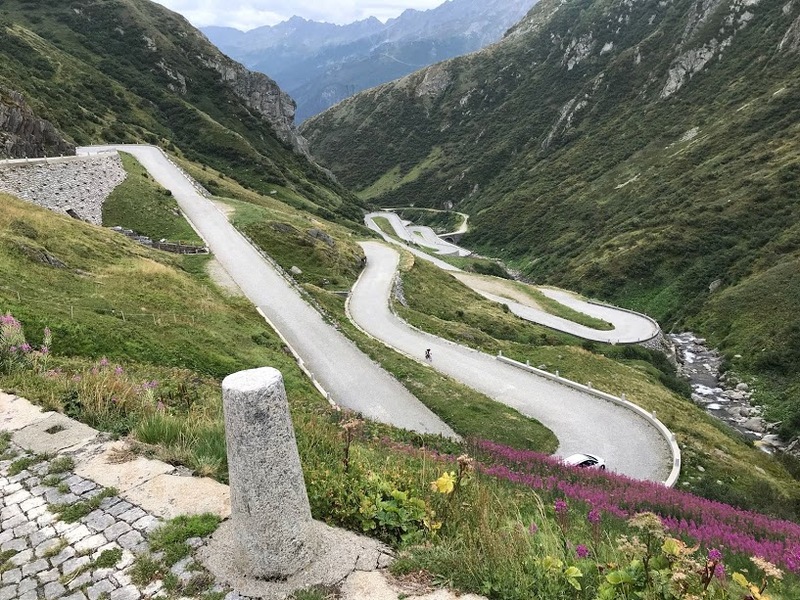 This is the climb where Tom Dumoulin got in trouble in the Giro d’Italia 2017 but still got to hold the maglia rossa until the end. 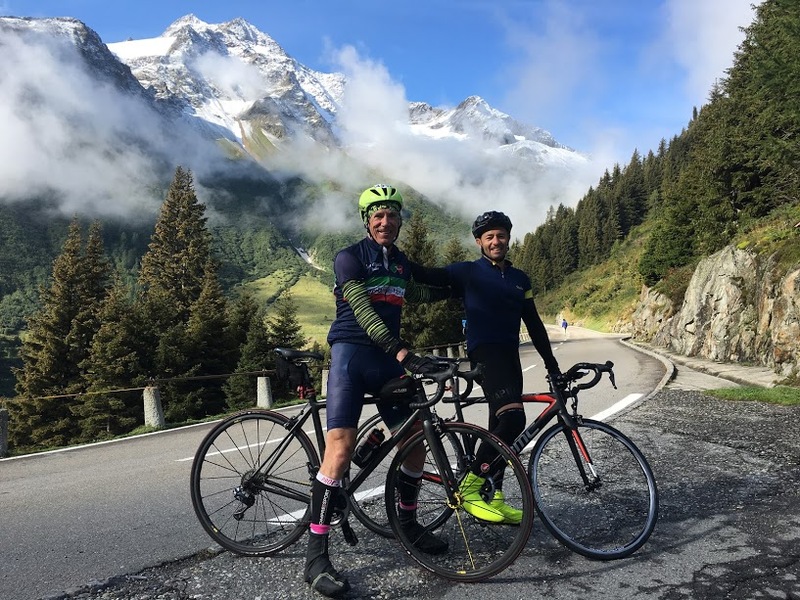 Our last climb is also the highest. 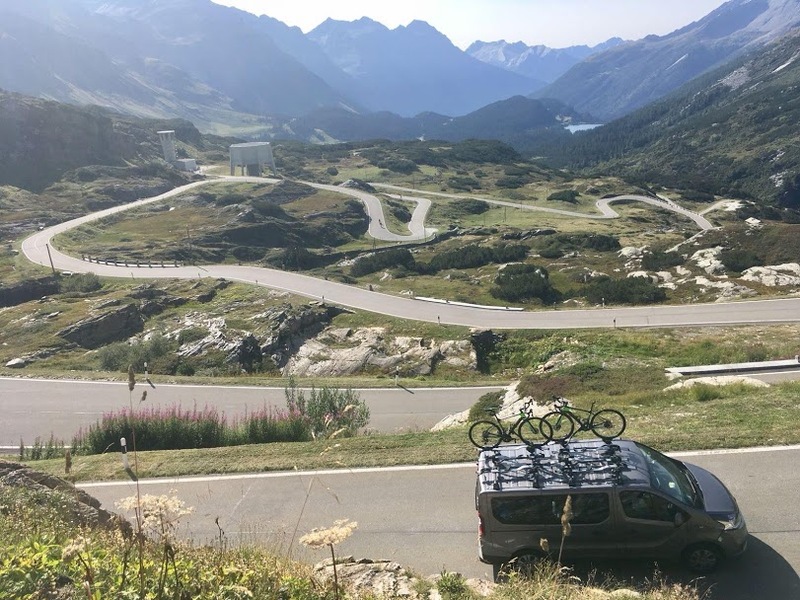 At the top we will cross the border into Italy for last time, then we will descend on the Stelvio side into Bormio. 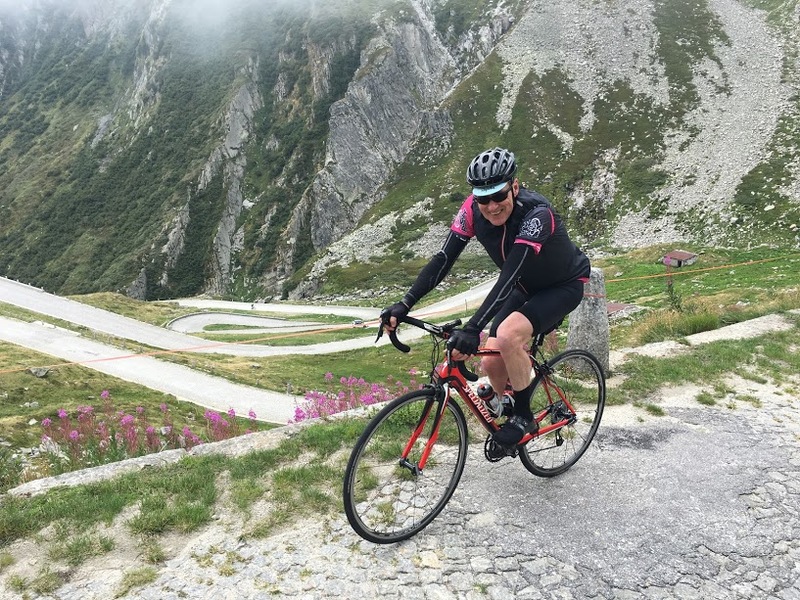 CLIMBS: Oftenpass 2,149m. 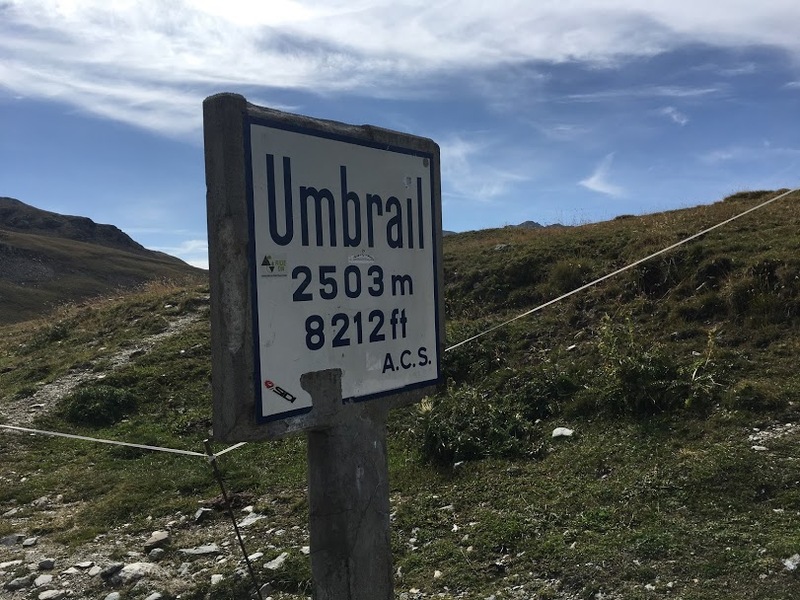 Passo Umbrail 2,501m. 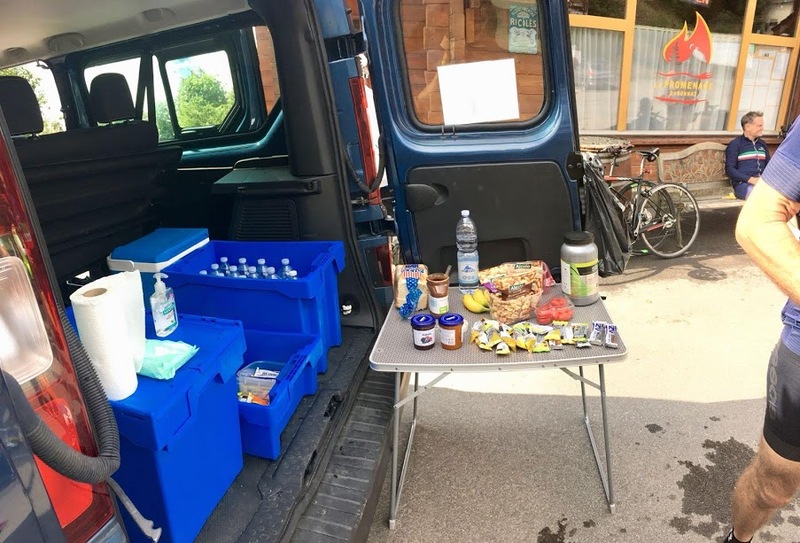 After breakfast, morning transfer to Milano Malpensa Airport (MXP). 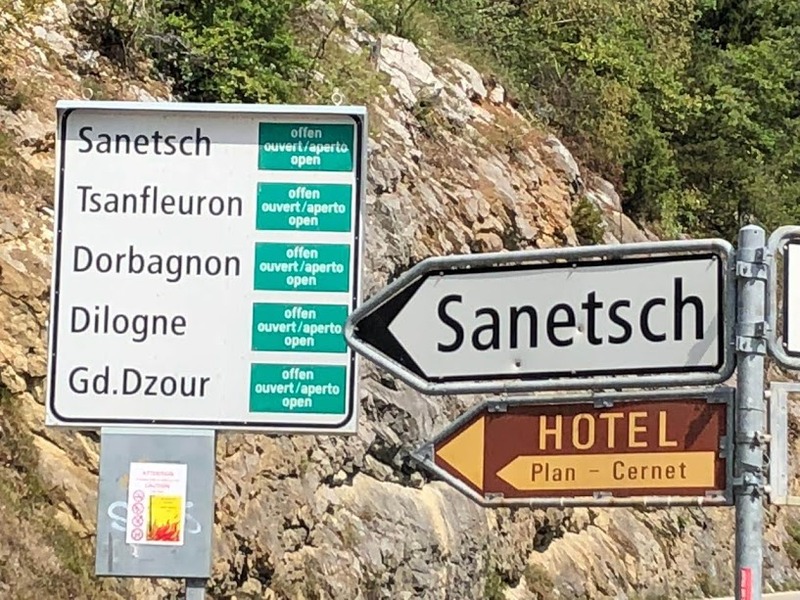 Expect to arrive there by 13:00. 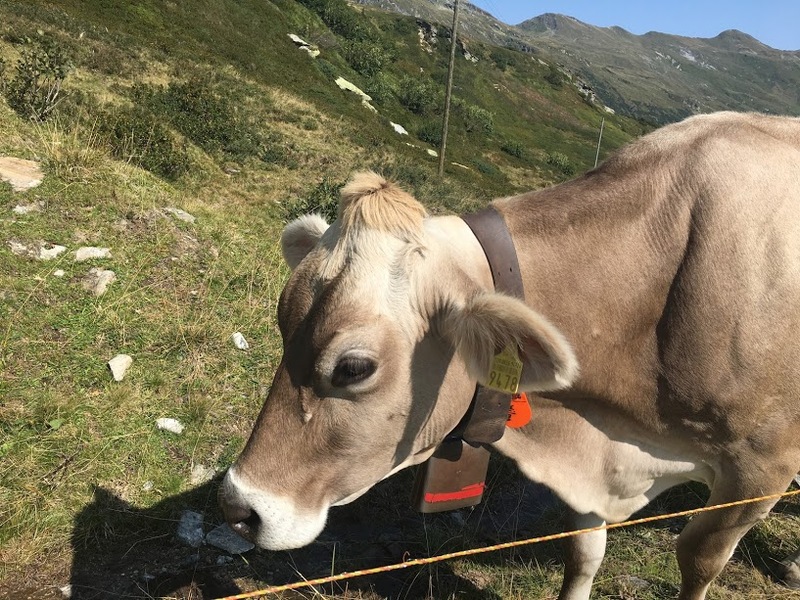 Plan your flights accordingly. 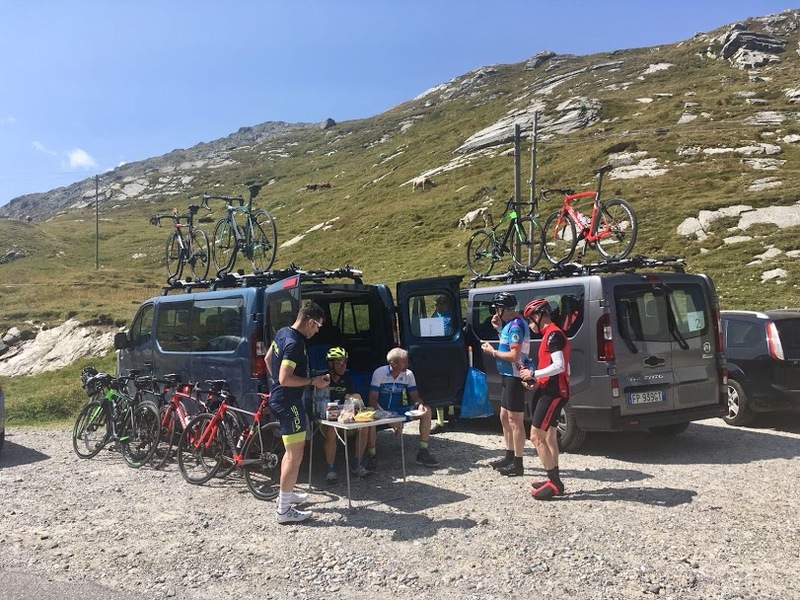 7 Picnic lunches during the rides.